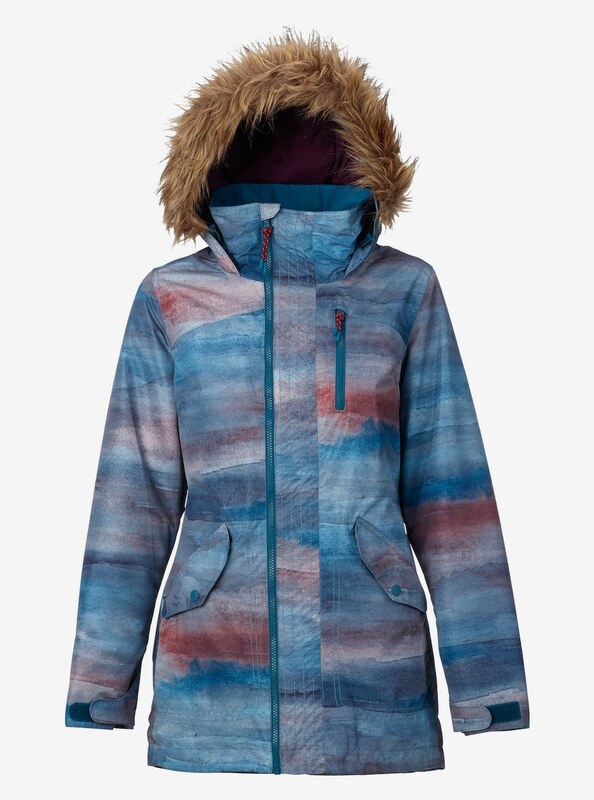 You know it’s the perfect time to take your snowboard or skis and go directly on the ski slope when temperature begins to drop dramatically and everything around you is covered with snow. 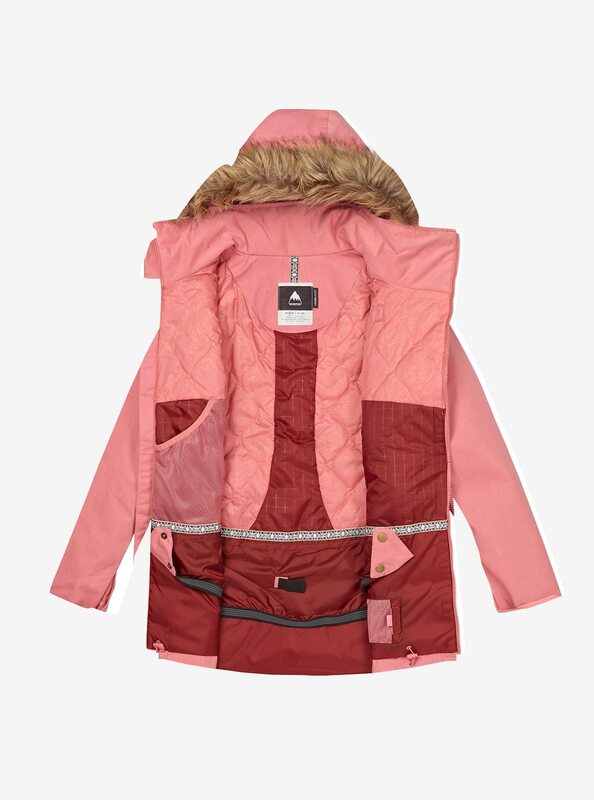 There you can have fun while trying various types of snow, which will give you different sensations, one more enjoyable than another. 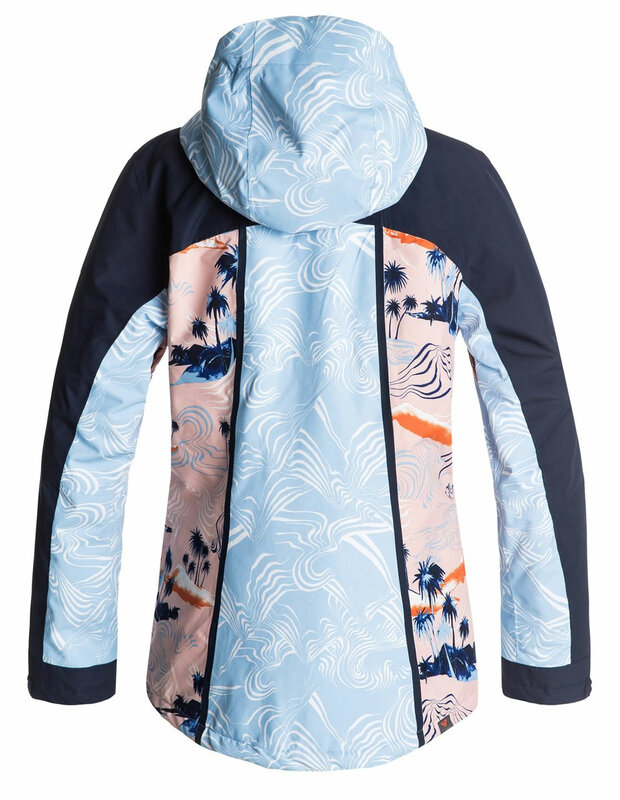 But do not forget to put in your luggage a ski jacket. 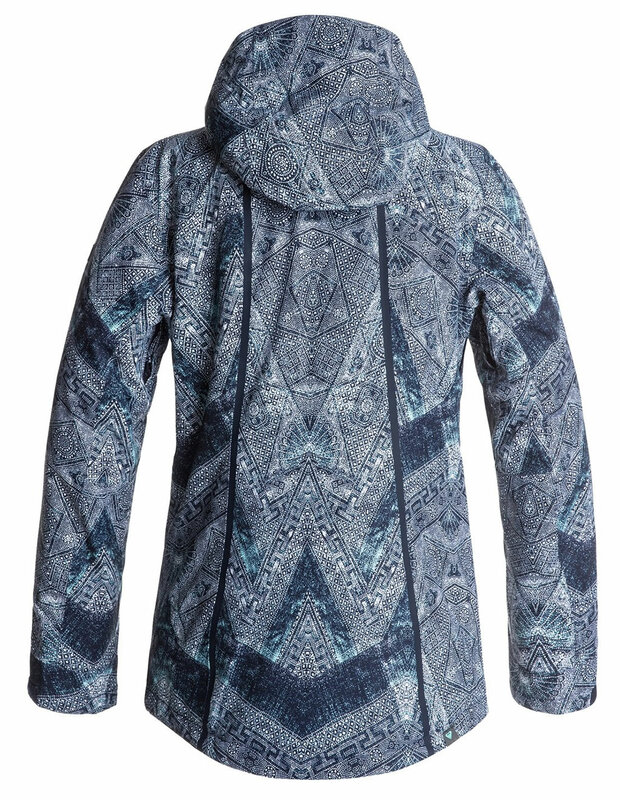 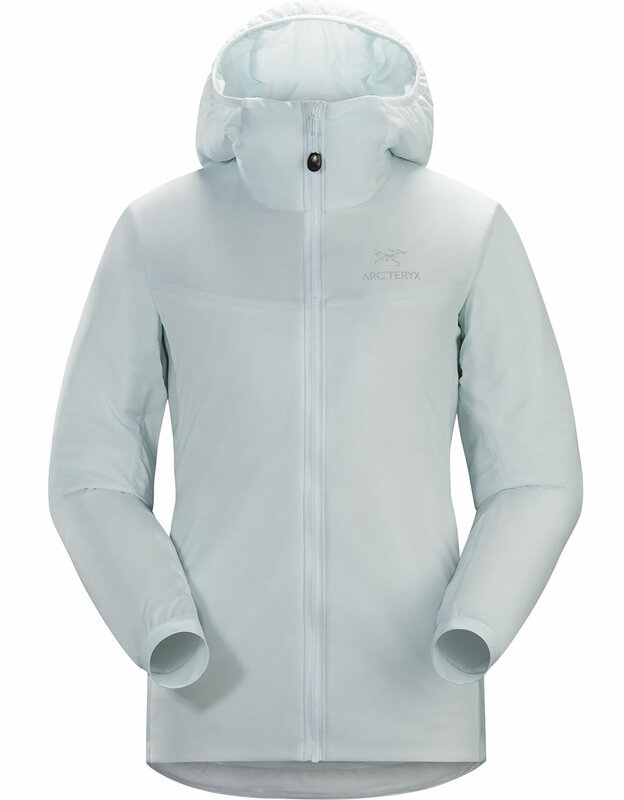 It will simultaneously provide you warmth and protection, so you can enjoy skiing, snowboarding, or any other activity performed during the cold season. 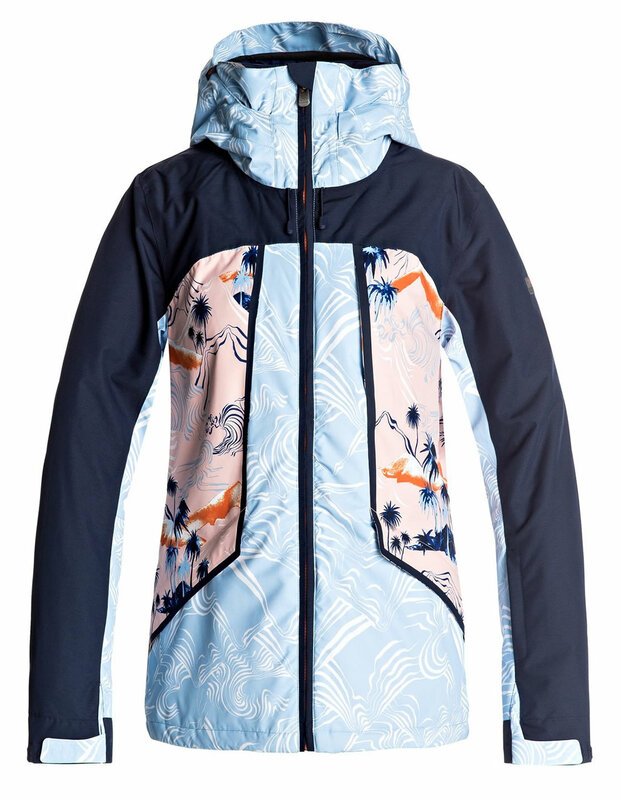 After we presented our top 10 best ski and snowboard jackets for men, we thought that it would be a good idea to put togheter a top 10 that includes some of the best ski and snowboard jackets for women as well, particularly those manufactured by reputable companies such as The North Face, Burton, Arc’teryx and Helly Hansen. 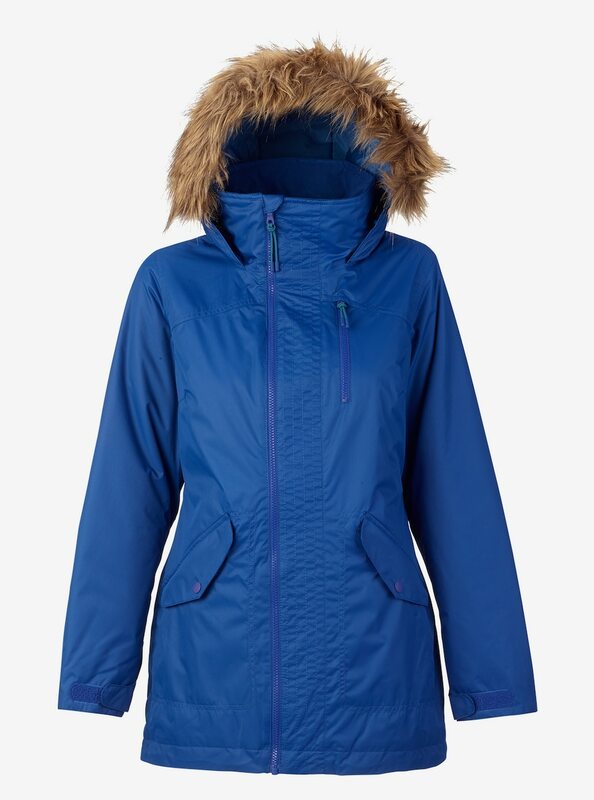 Starting off with the Thermoball Snow Triclimate Jacket, we can tell you that it is a toasty 3-in-1 ski jacket that pairs a weatherproof external shell with an insulated liner jacket, which can be worn separately or zipped together. 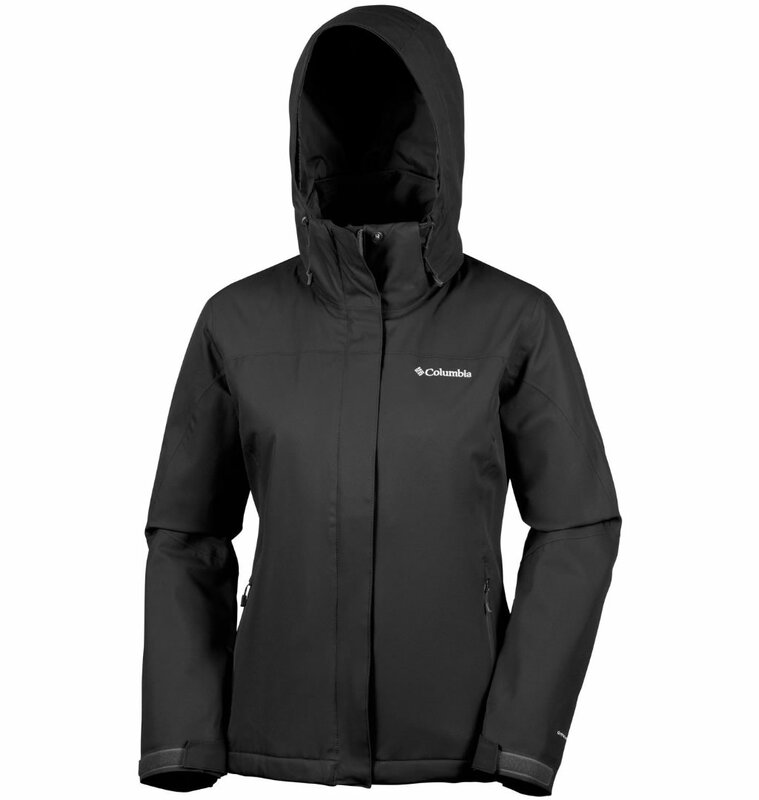 Its ThermoBall technology and PrimaLoft insulation provide warmth by trapping and retaining heat within small air pockets for an effective insulation in wet weather. 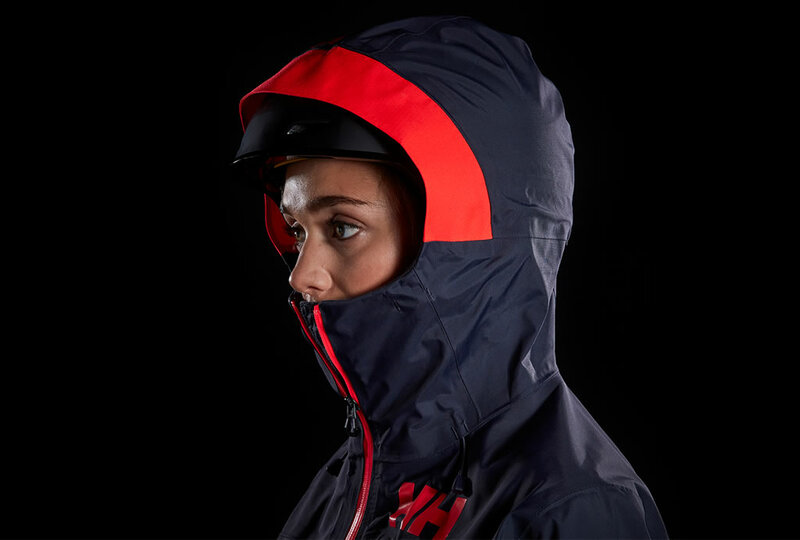 For added comfort and safety, the model has underarm vents for exceptional breathability, and an adjustable hood that can be easily adapted to a helmet. 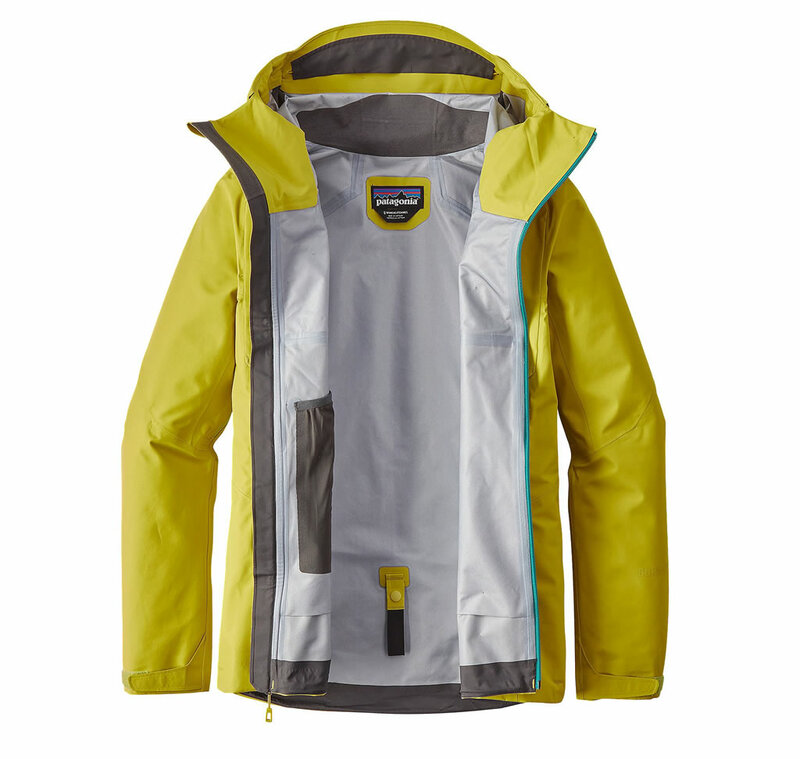 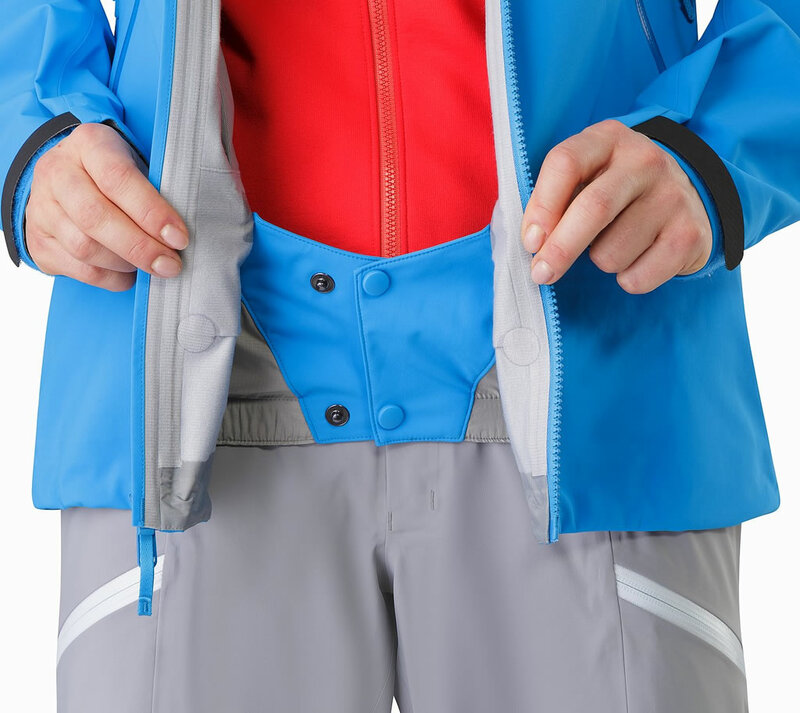 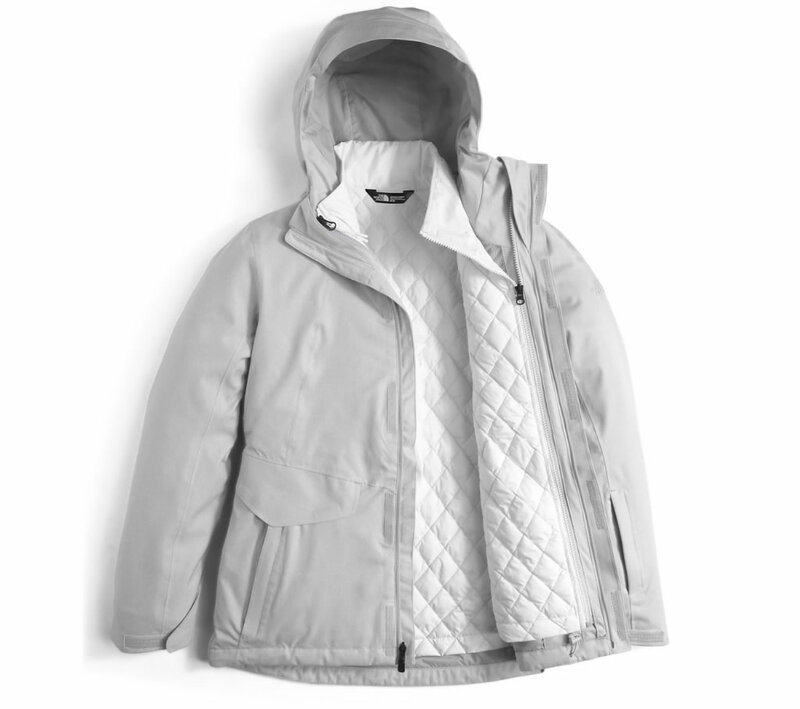 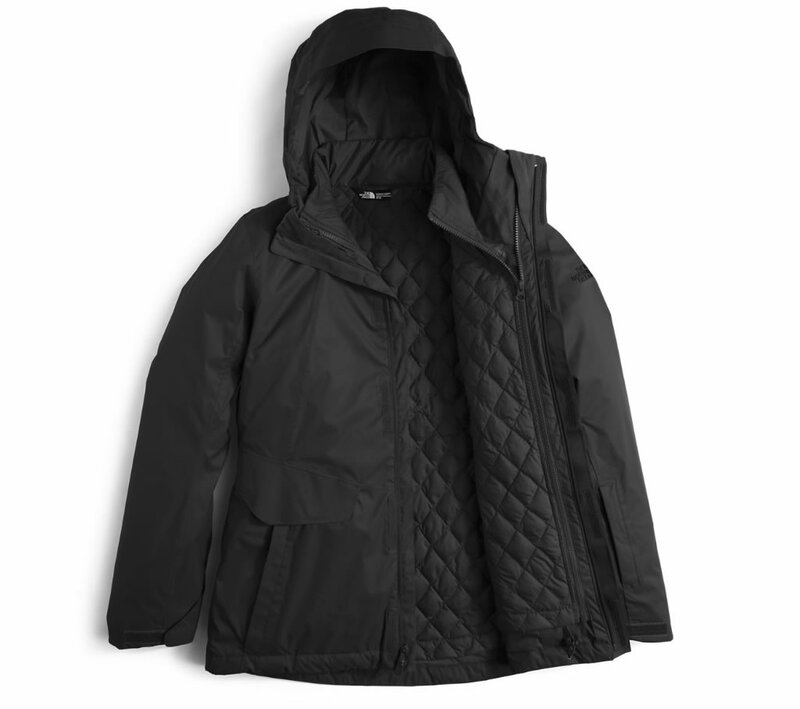 The jacket also features plenty of pockets that can be used for storage, as well as a powder skirt and zip-in integration that block out snow. 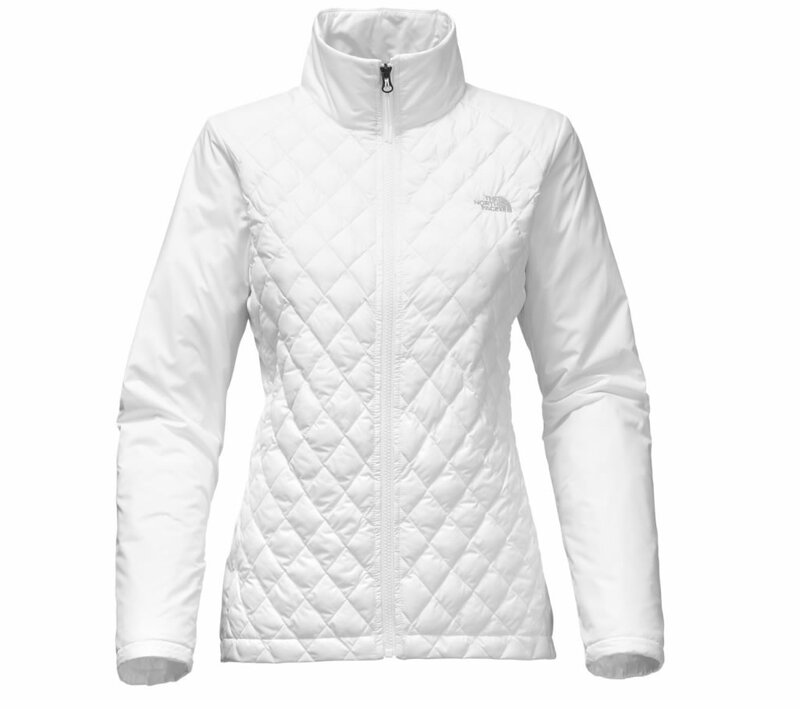 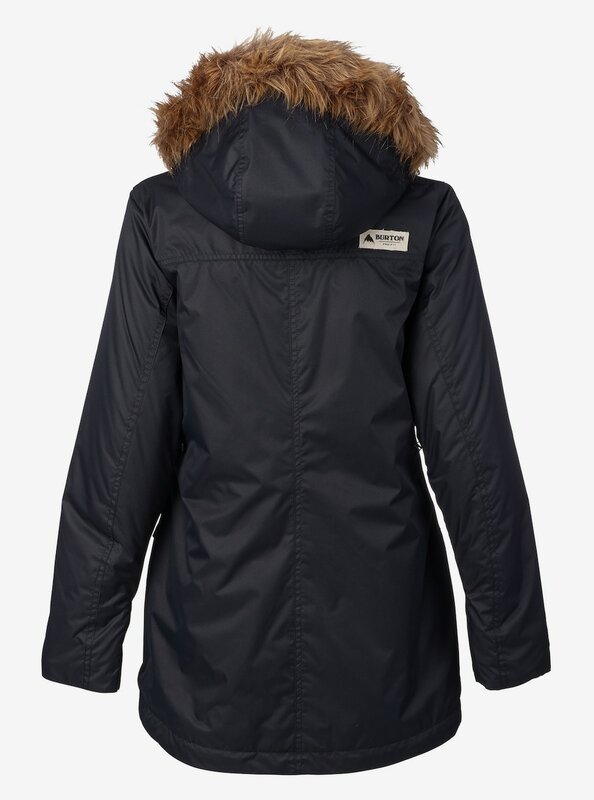 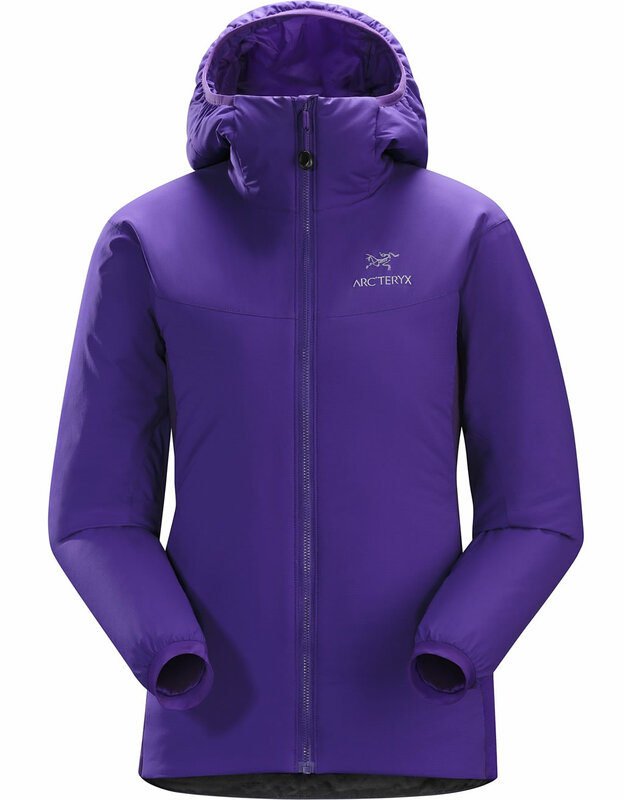 The North Face Thermoball Snow Triclimate Jacket for women is available in sizes ranging from XS to XL, and it comes in different colors such as Fire Brick Red, Light Grey Heather, Black, Dark Eggplant Purple and Inauguration Blue. 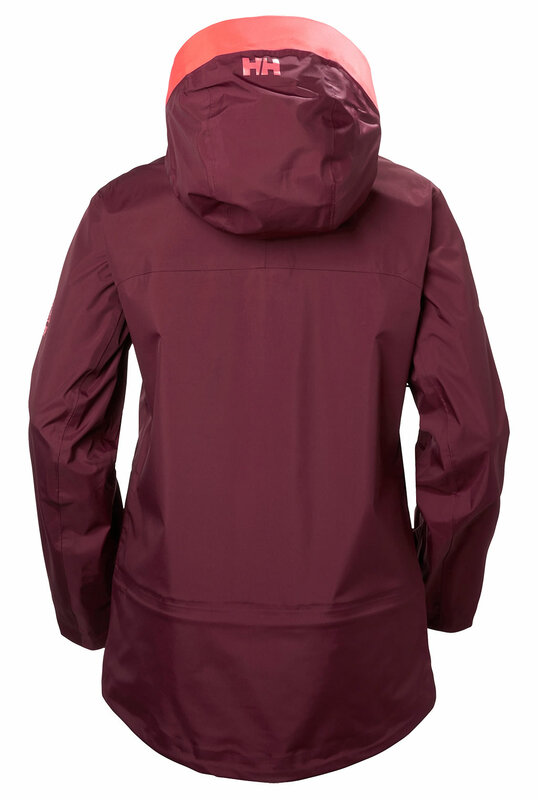 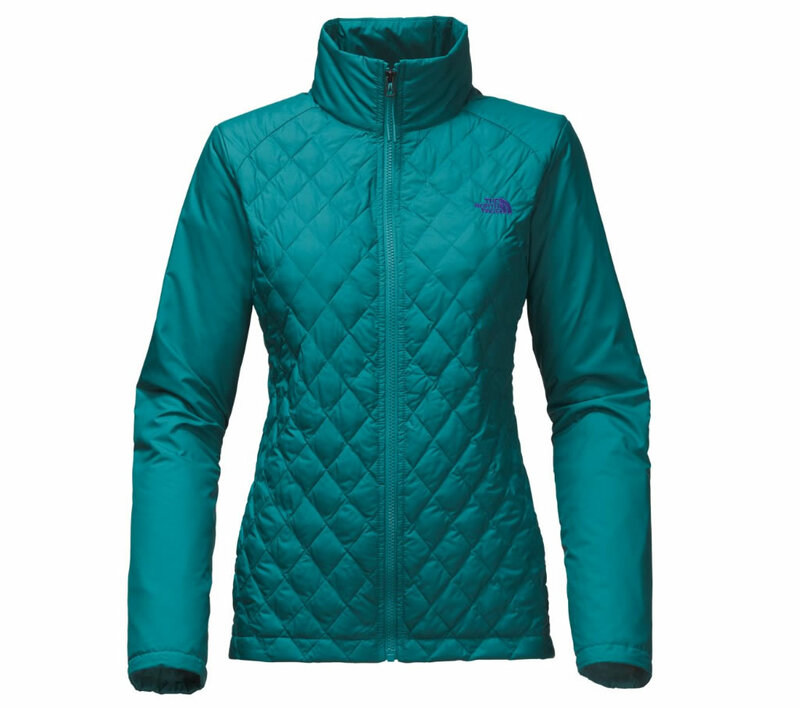 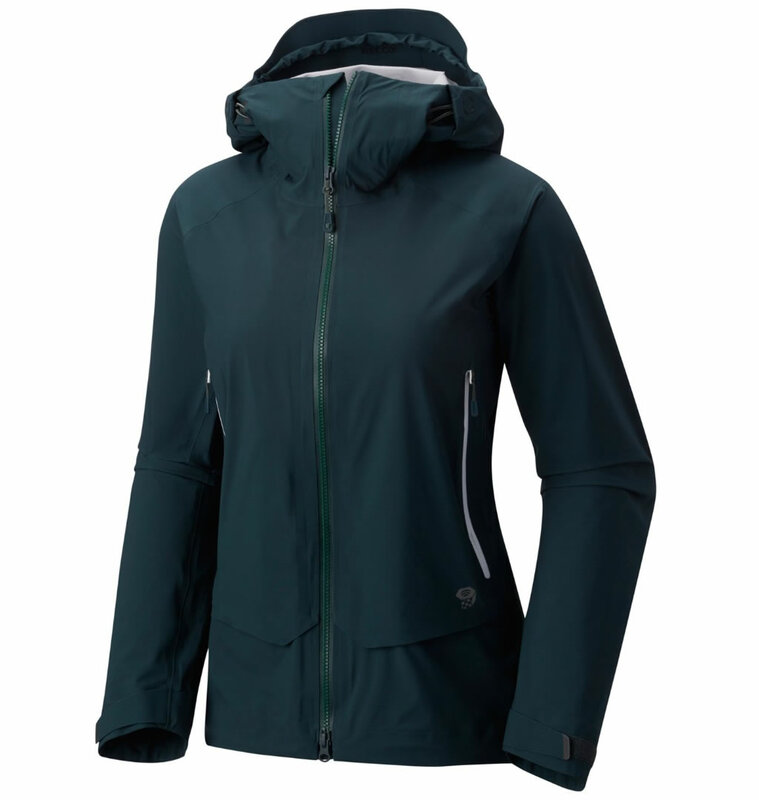 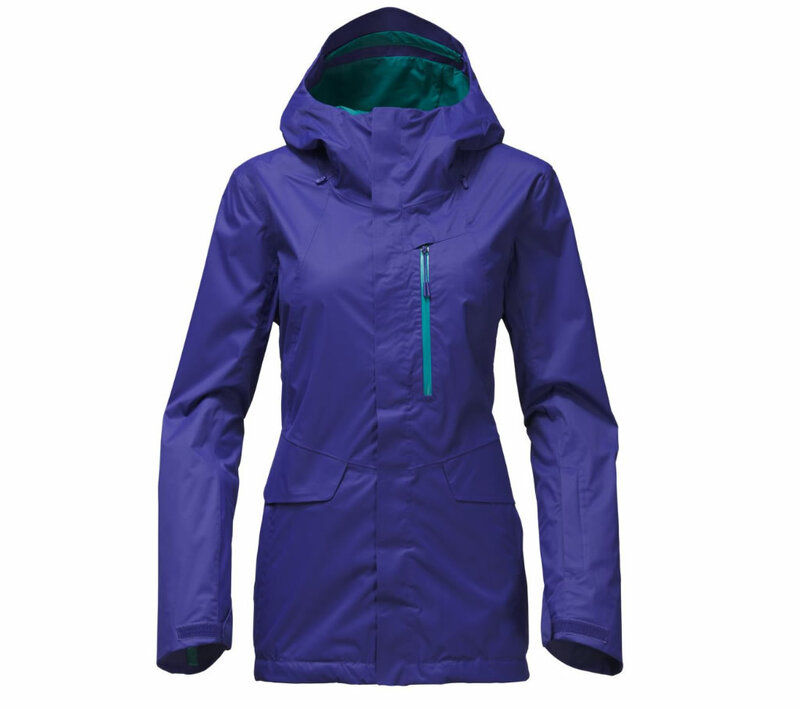 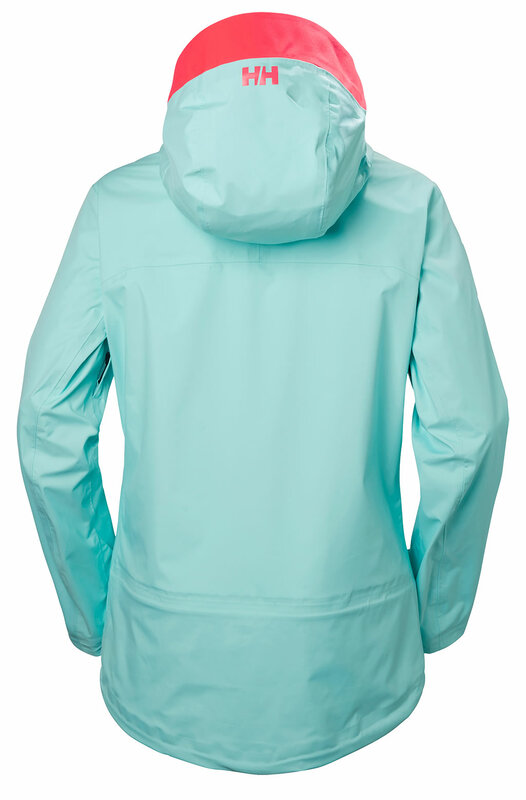 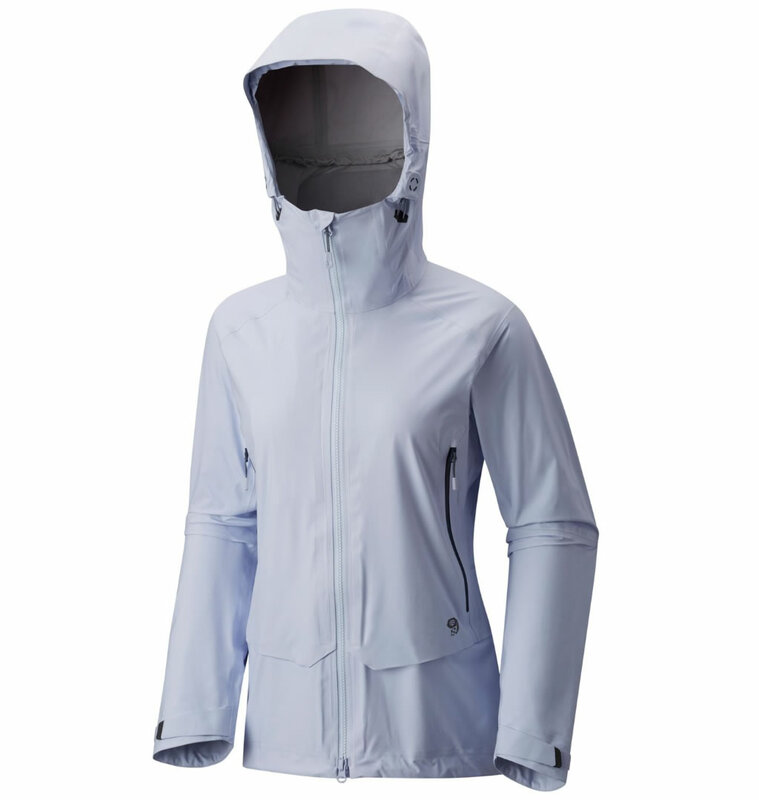 With this Burton Hazel Jacket for women you don’t have to worry about low temperatures, as the jacket features a midweight 40% recycled content THERMOLITE insulation and a DRYRIDE 2L fabric, which are bluesign approved. 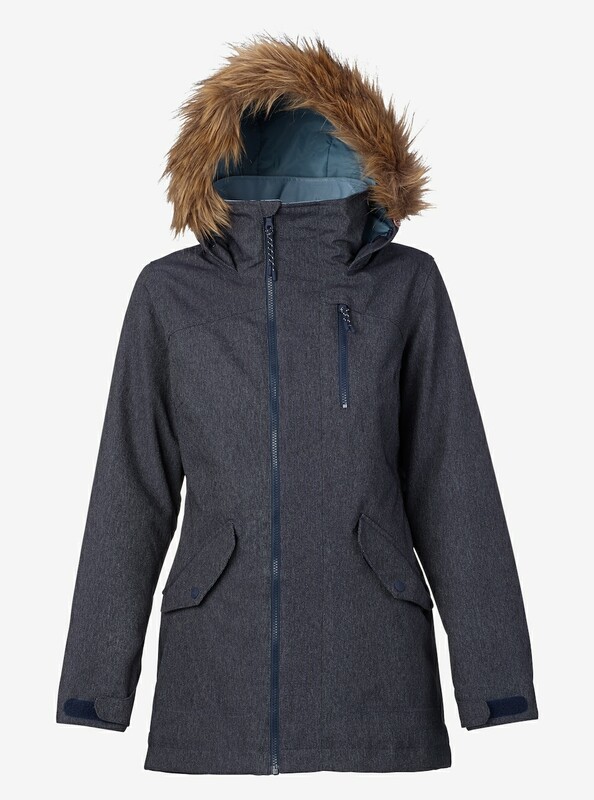 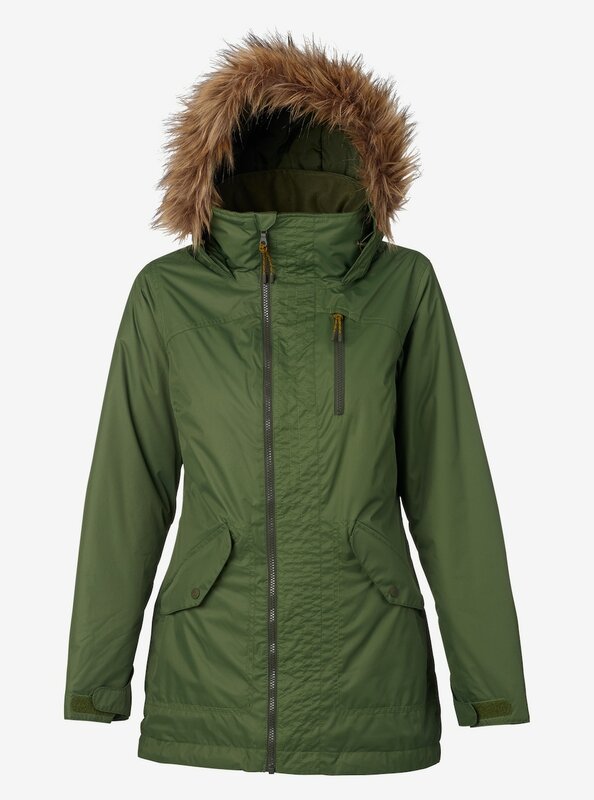 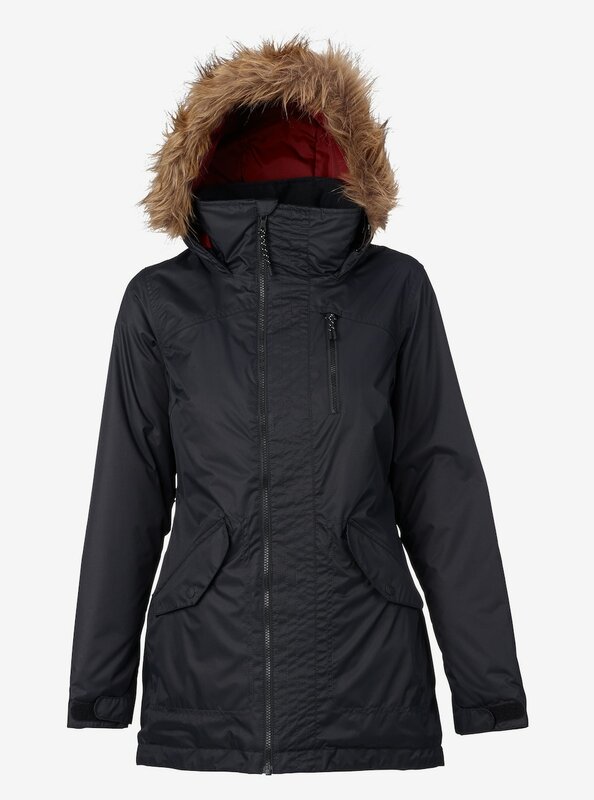 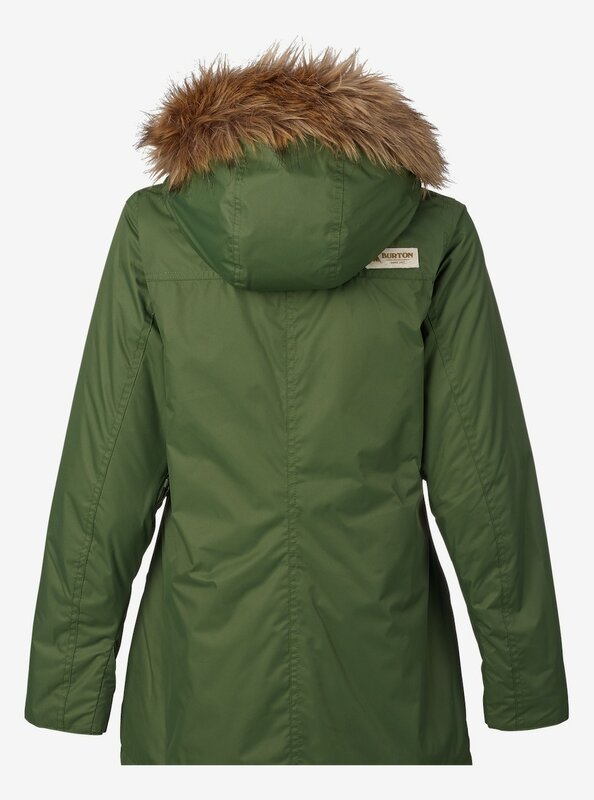 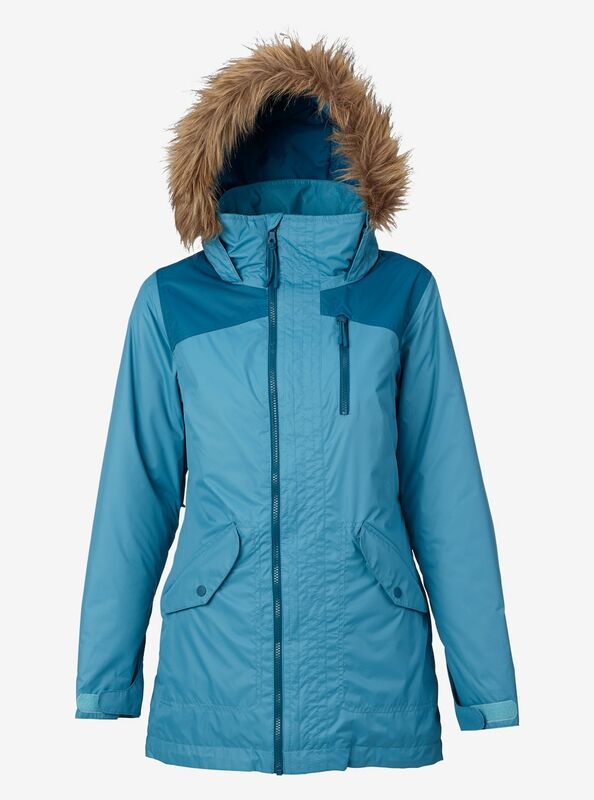 Offering a slim fit, this women’s ski jacket with fur hood features an automatic climate control that keeps you cool and dry when you’re warm, and warm when you’re cold by shrinking the breathable pores and trapping the body heat inside. 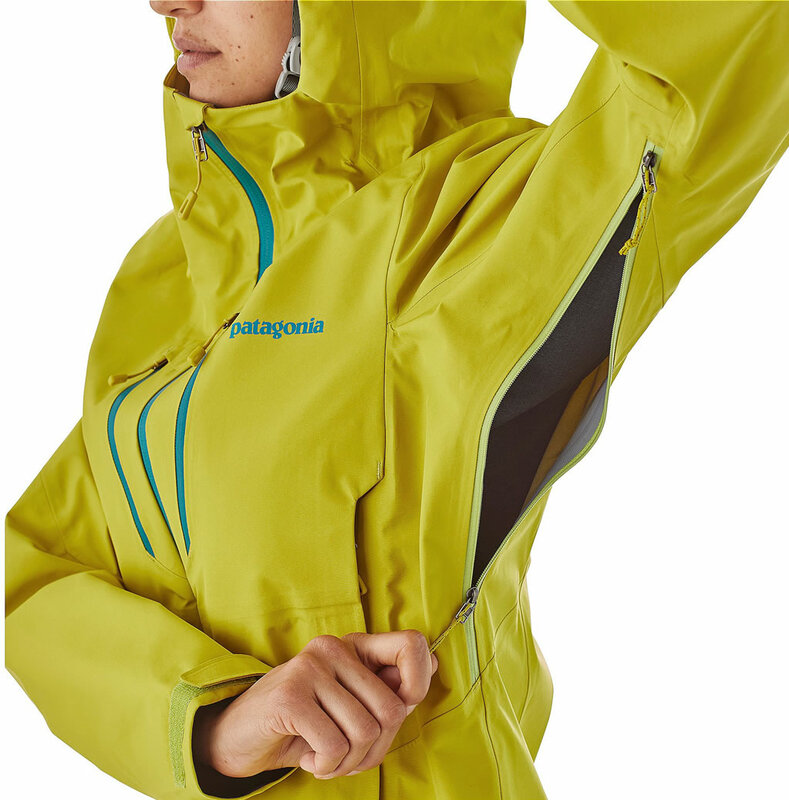 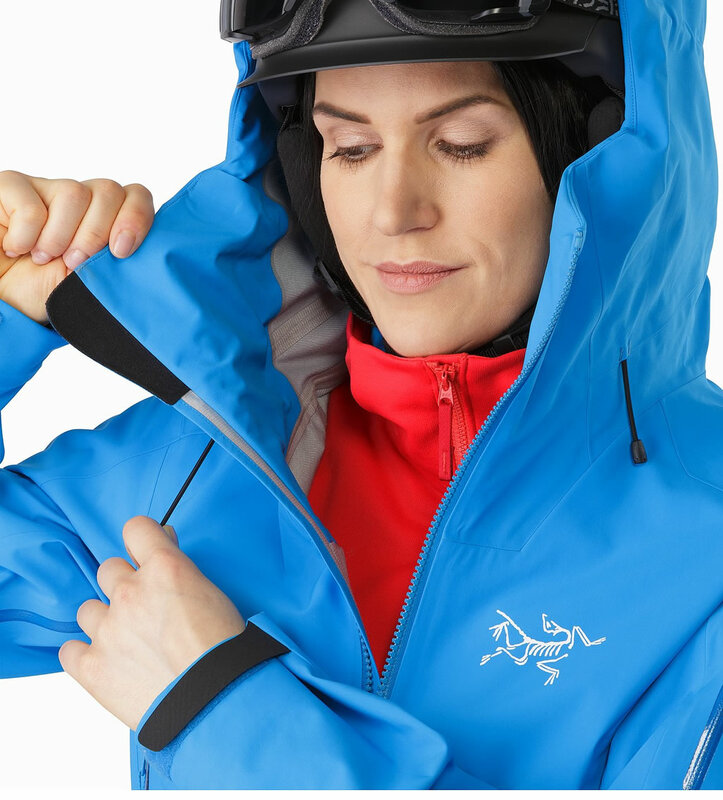 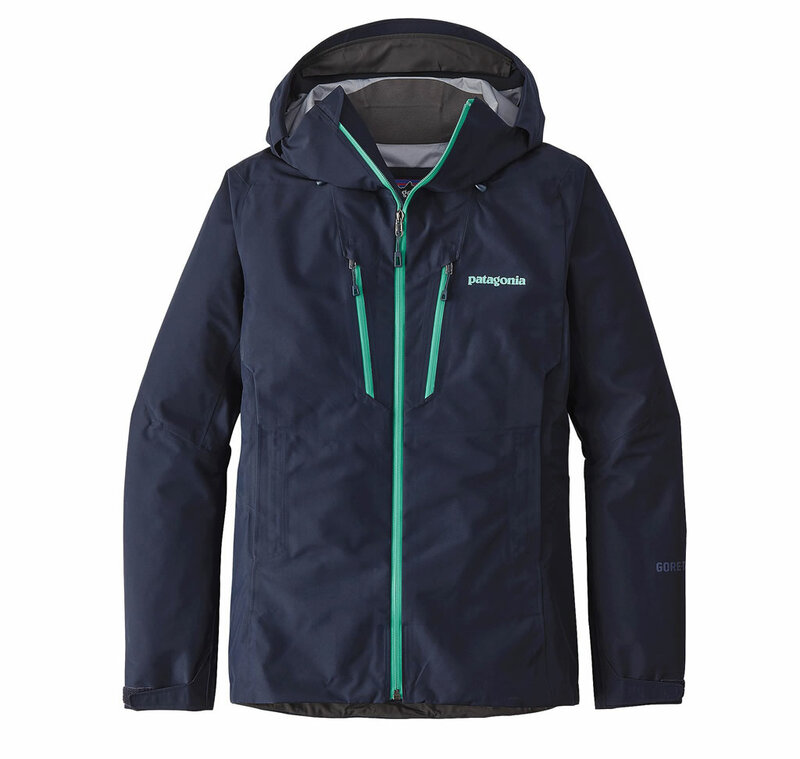 Its critically taped seams guarantee durability without sacrifing the mobility, while the fulltime contour drop-hood provides protection against wind and snow. 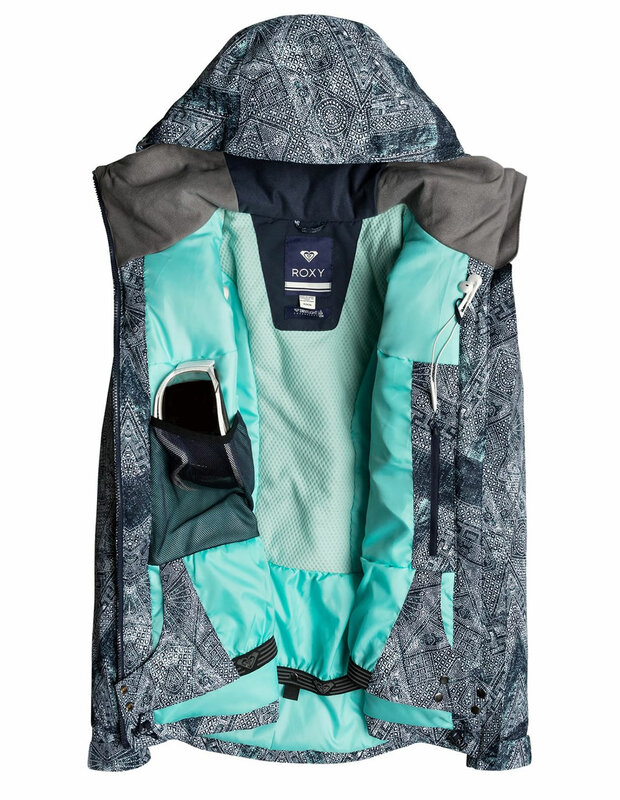 Other highlights include jacket-to-pant interface, media and goggles pocketing, snag-free neckline, and removable magic stitch waist gaiter that protects you against any chilly air. 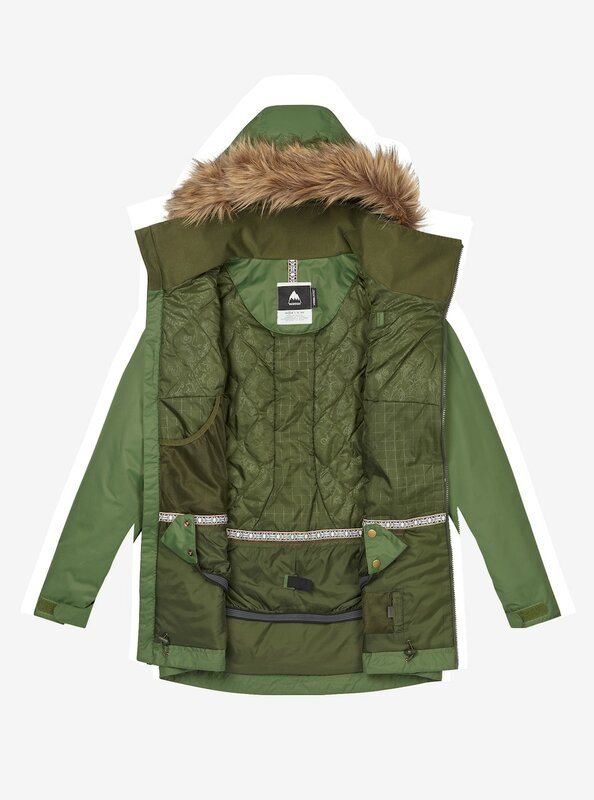 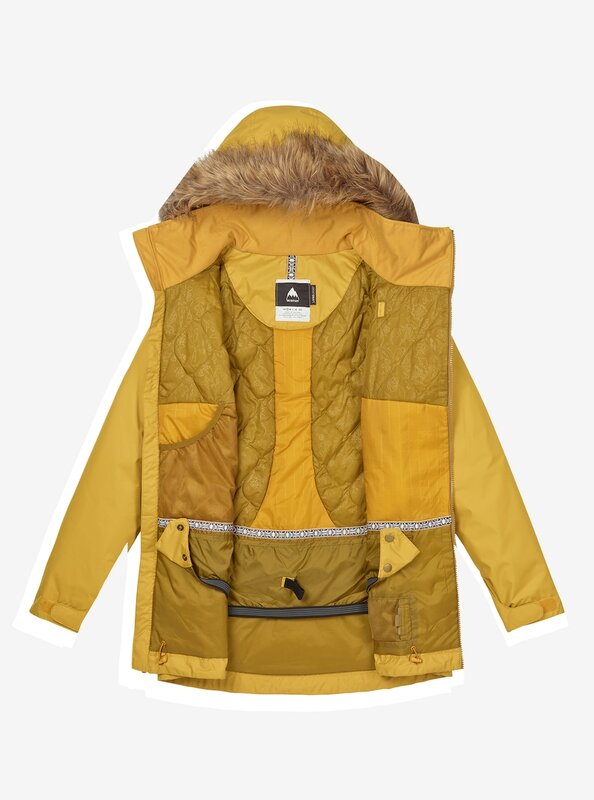 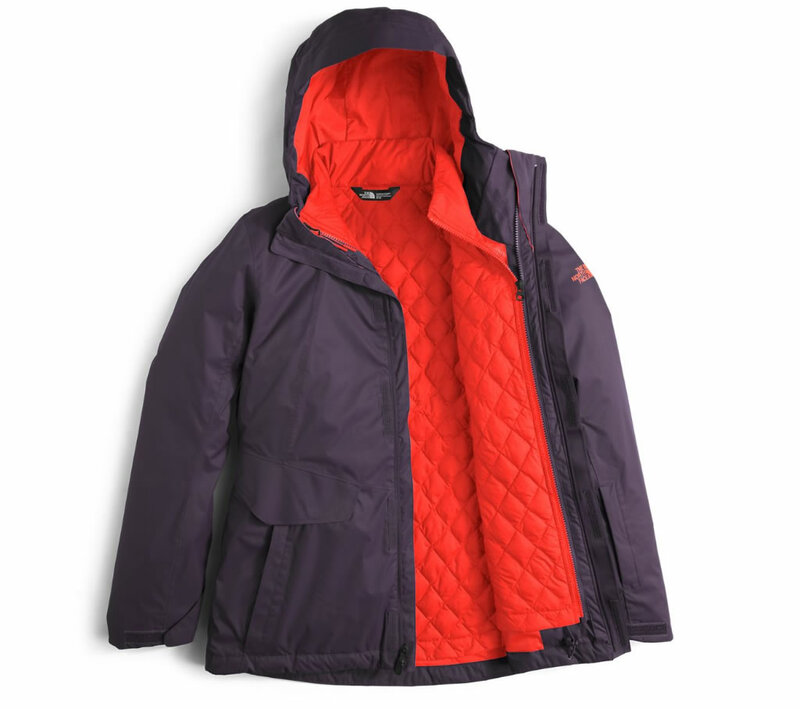 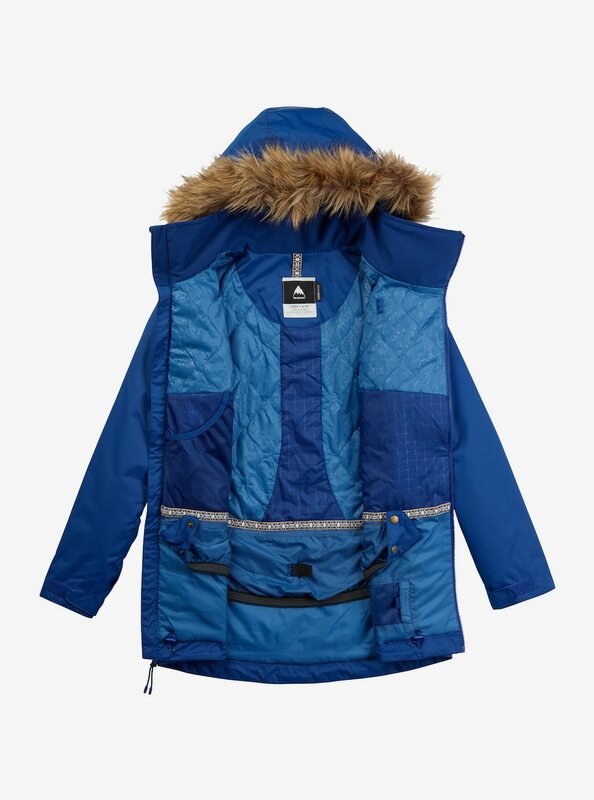 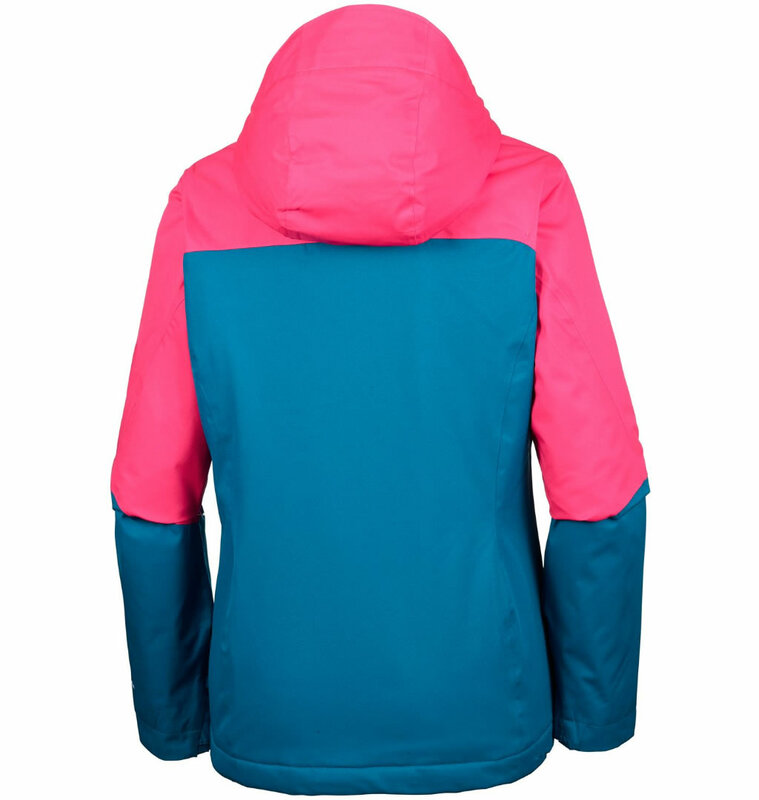 The jacket comes in eleven different colorways and in sizes ranging from XXS to XL. 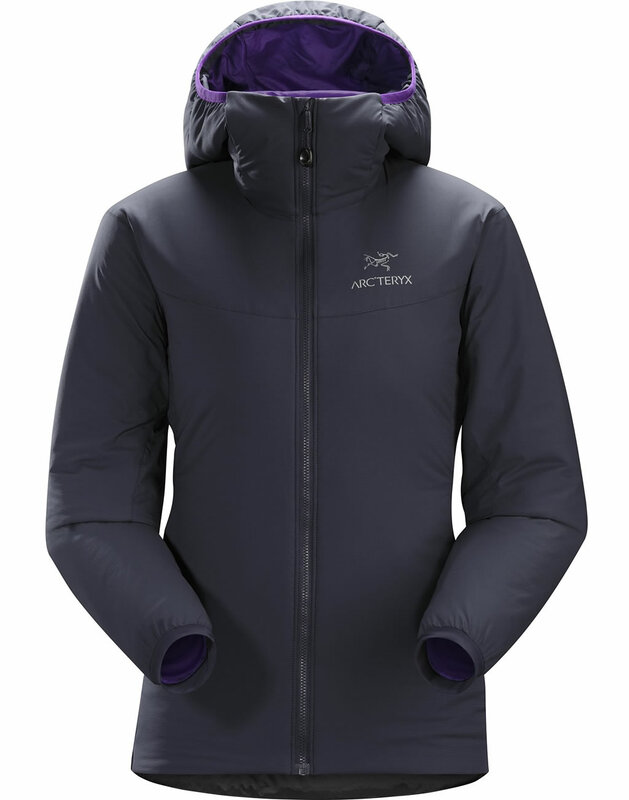 The Atom LT Hoody by Arc’teryx is perfectly suited for snowboarding and skiing, as it features excellent technical characteristics such as taffeta outer lining with a Durable Water Repellent finish, as well as Coreloft insulation in the torso, arms and hood. 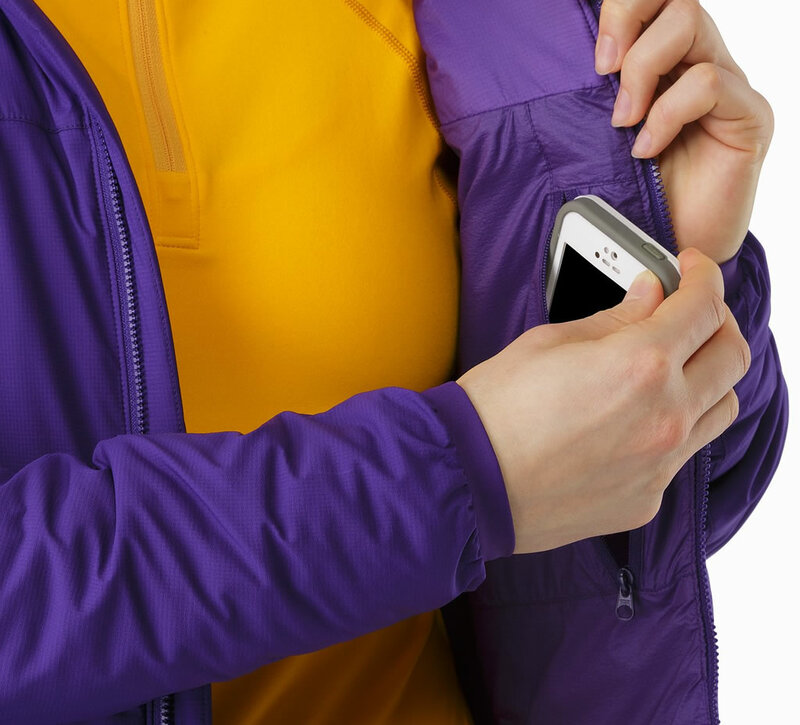 Although it looks voluminous, it will surprise you by its small size when it’s packed and stored in its own pocket. 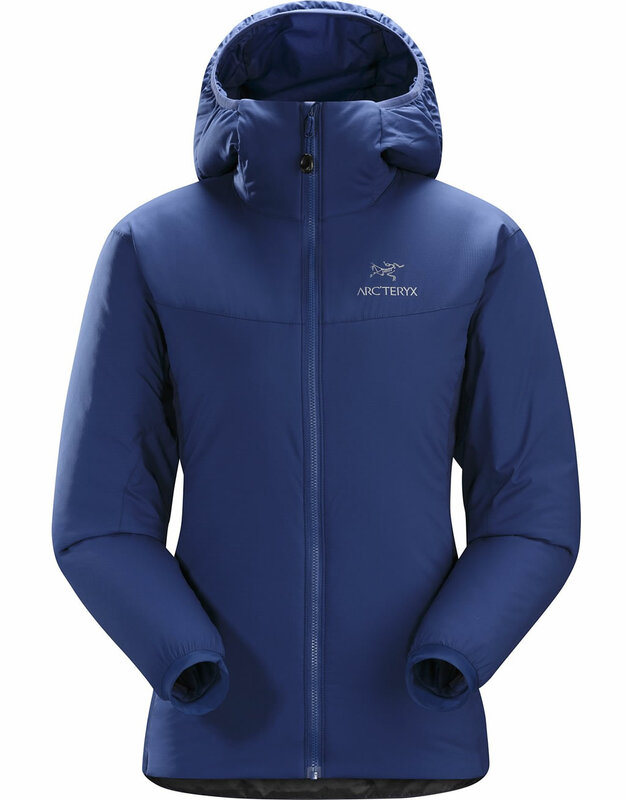 As for mobility and breathability, they are ensured by breathable side panels and underarms, which boast Polartec Power Stretch with Hardface Technology that regulates your body temperature. 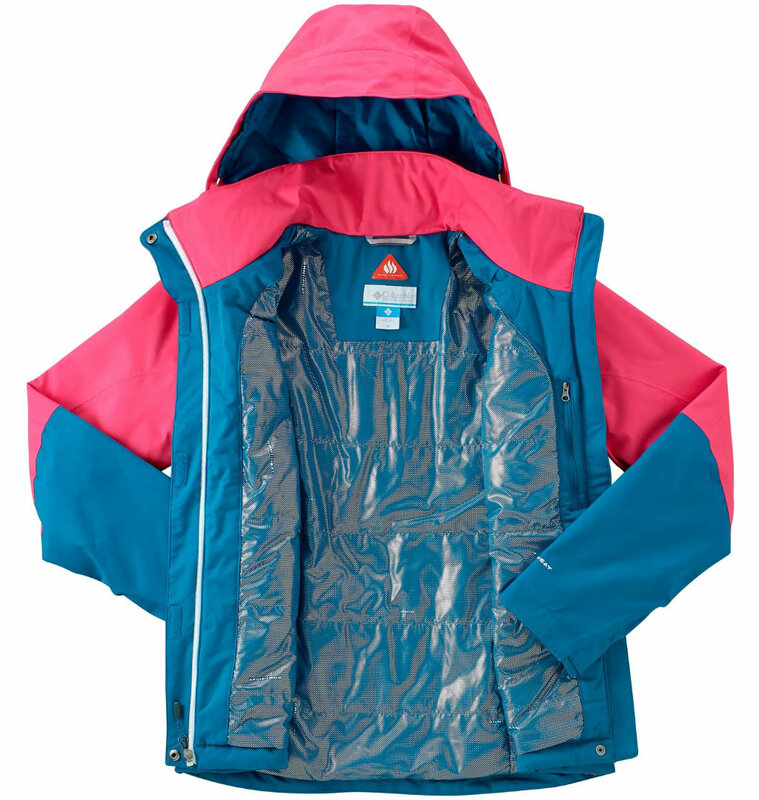 This offering from Airblaster is capable of providing complete rain and snow protection while still looking stylish. 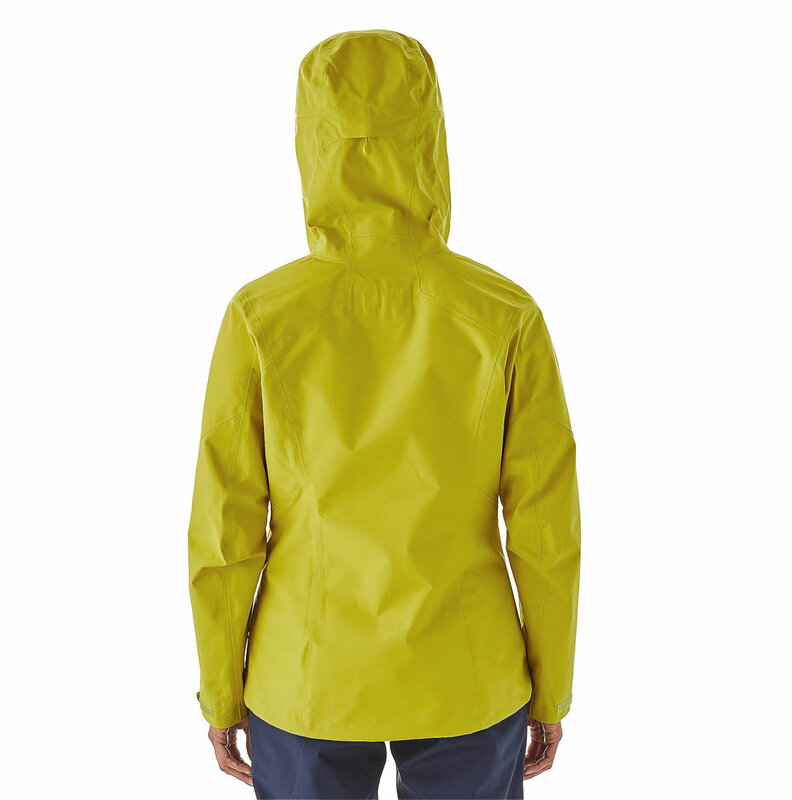 Its main features include a midweight Oxford fabric and a fully seam-taped design. 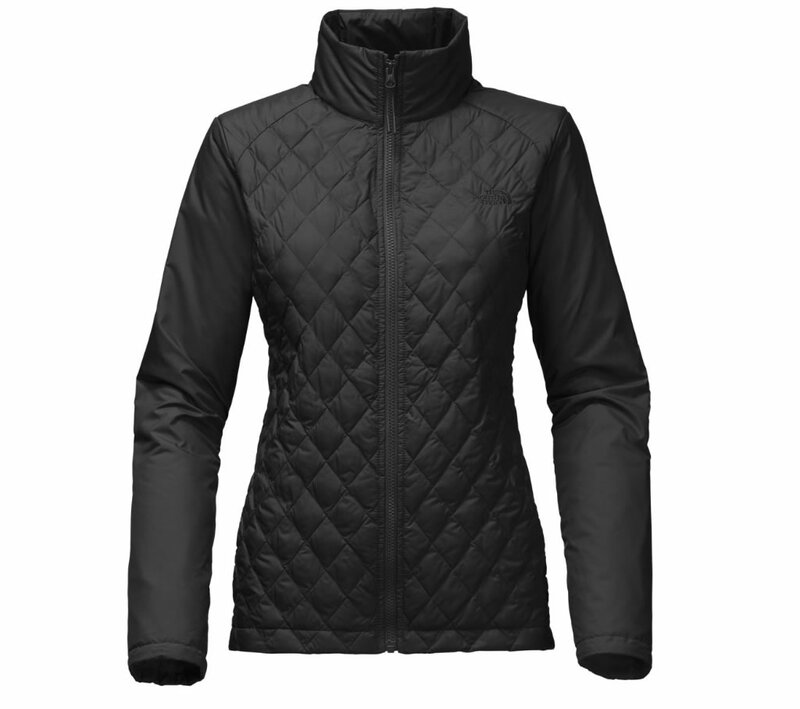 The mesh lined underarm vents prevent overheating, while lycra wrist gaiters keep your wrists and hands warm. 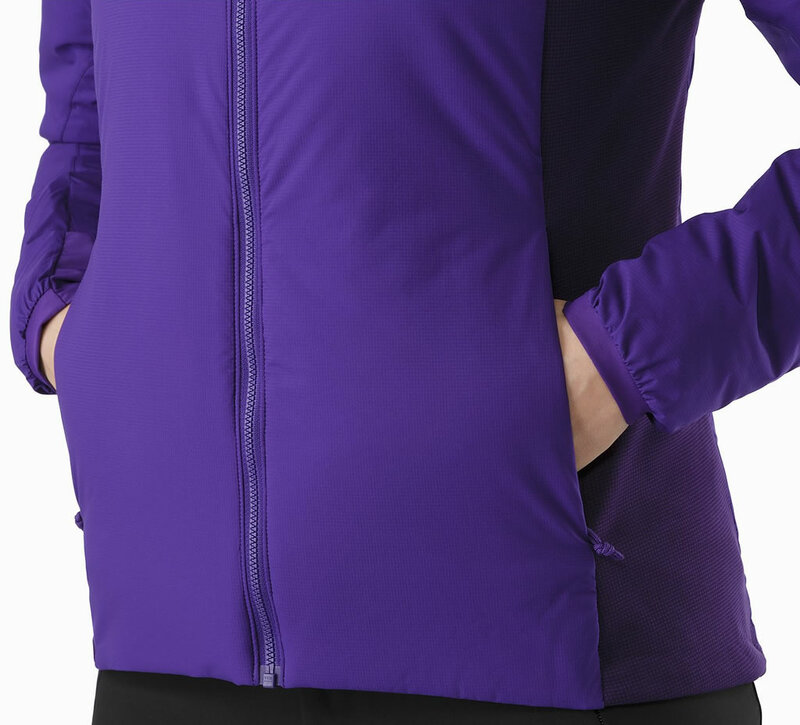 There are also two zipper hand warmer pockets, two zippered chest pocket, and a removable powder skirt with pass window. 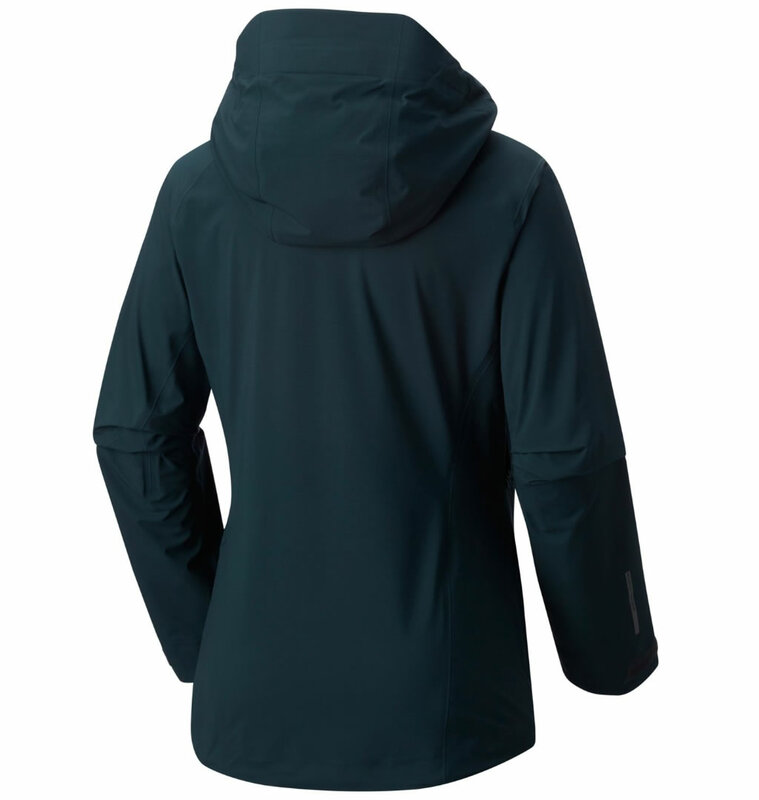 Last but not least, we should mention that it offers a waterproof rating of 15K mm as well as a breathability rating of 10K g/m2. 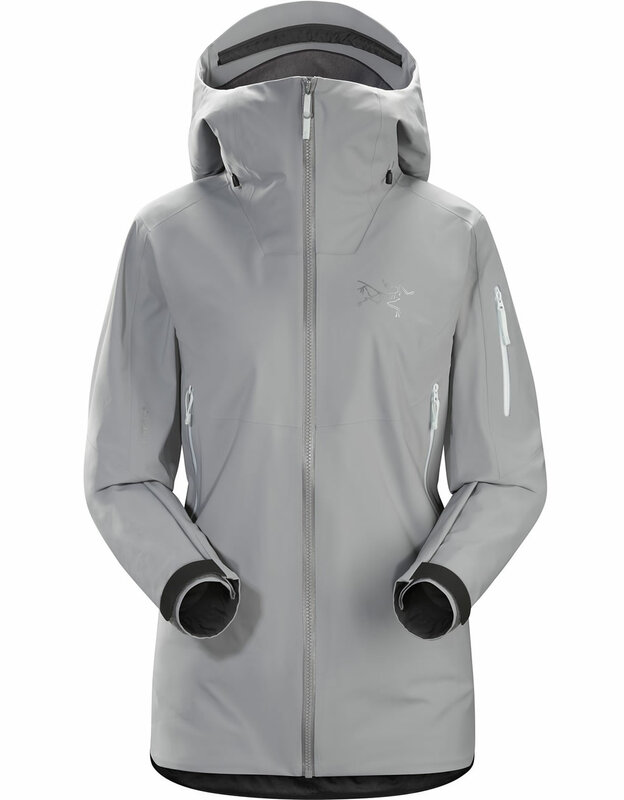 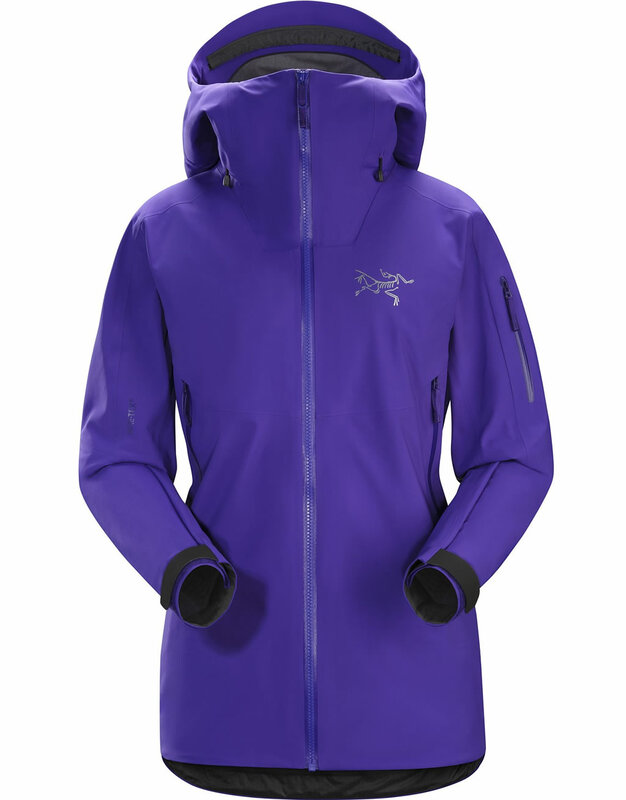 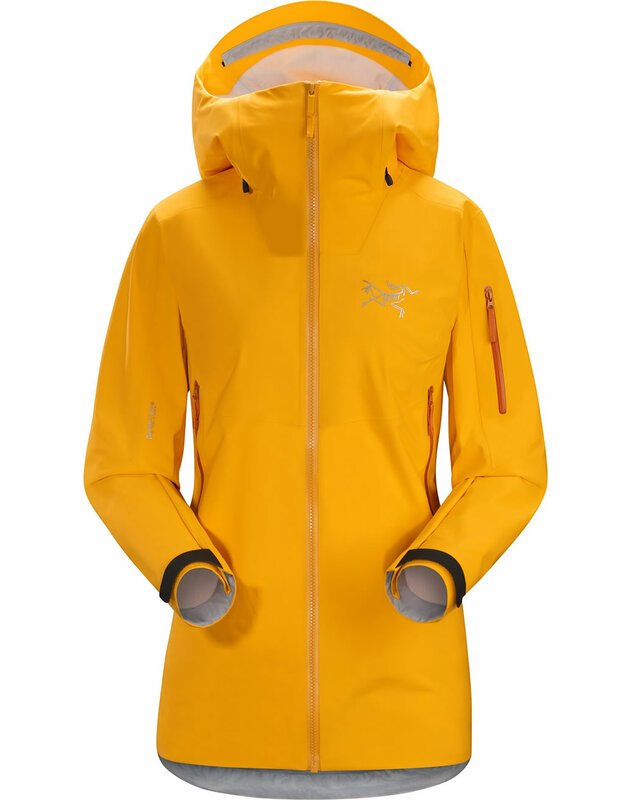 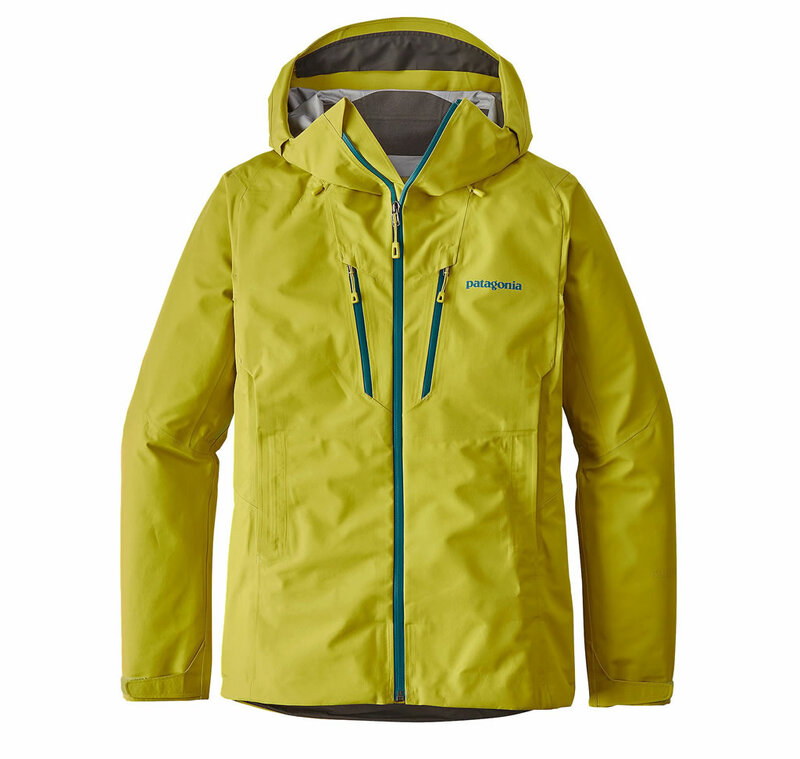 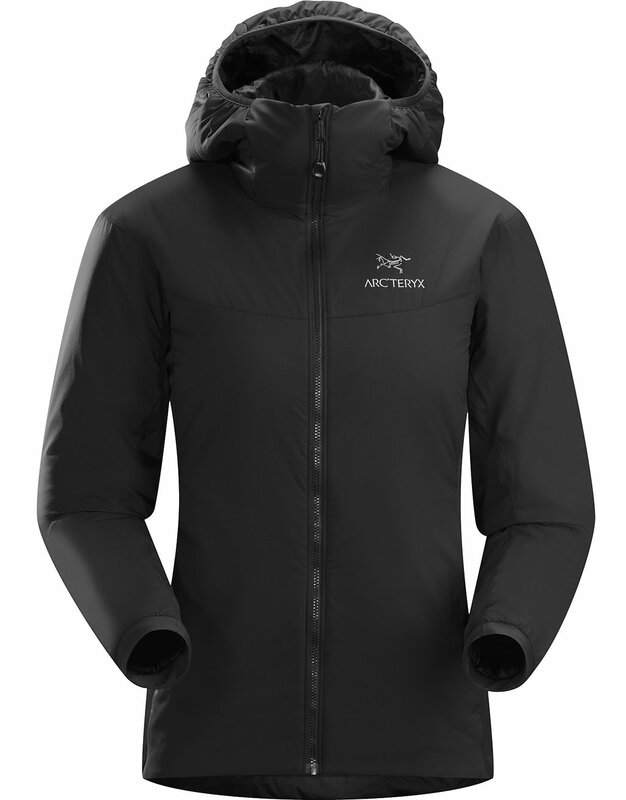 Offering exceptional waterproofness as well as complete windproofness, the Sentinel Jacket by Arc’teryx was designed for women who are passionate about mountain skiing and freeriding. 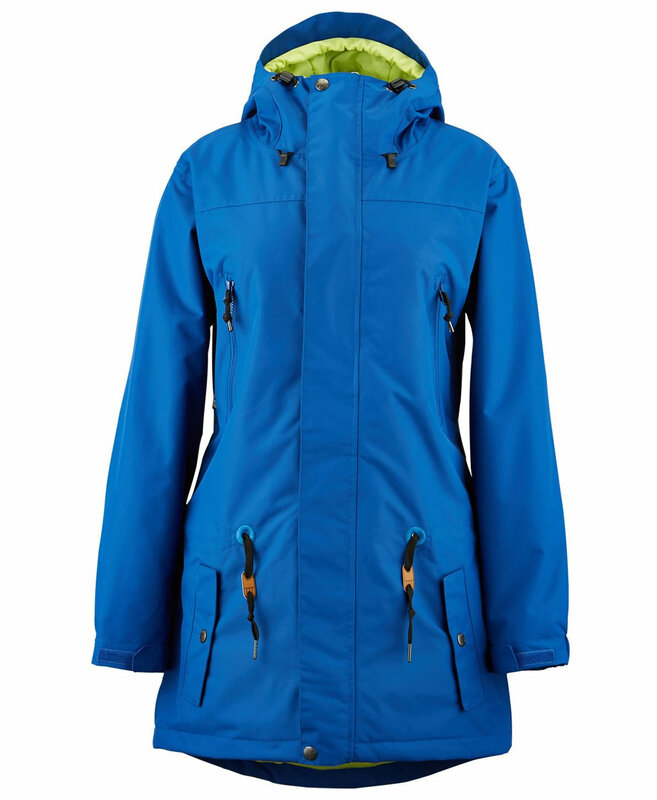 It features a clean look that is complemented by plenty of technical details designed to ensure performance on ski slopes. 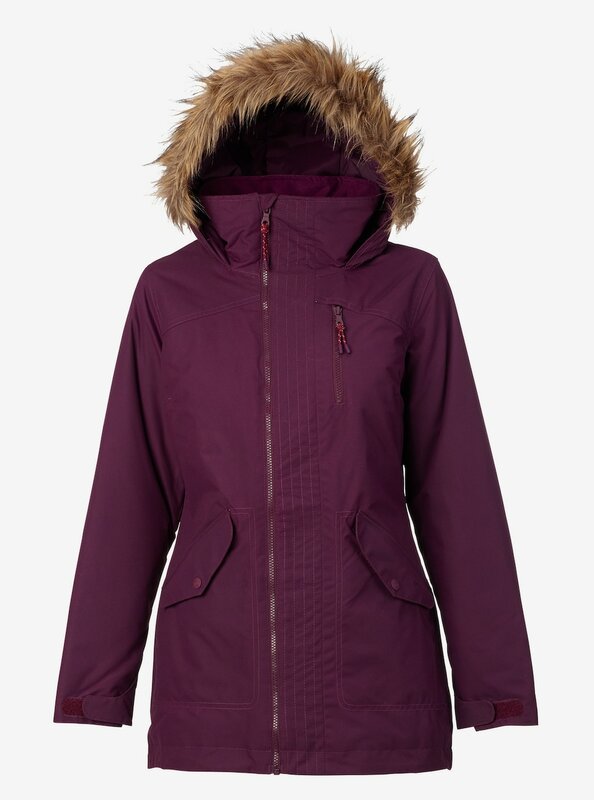 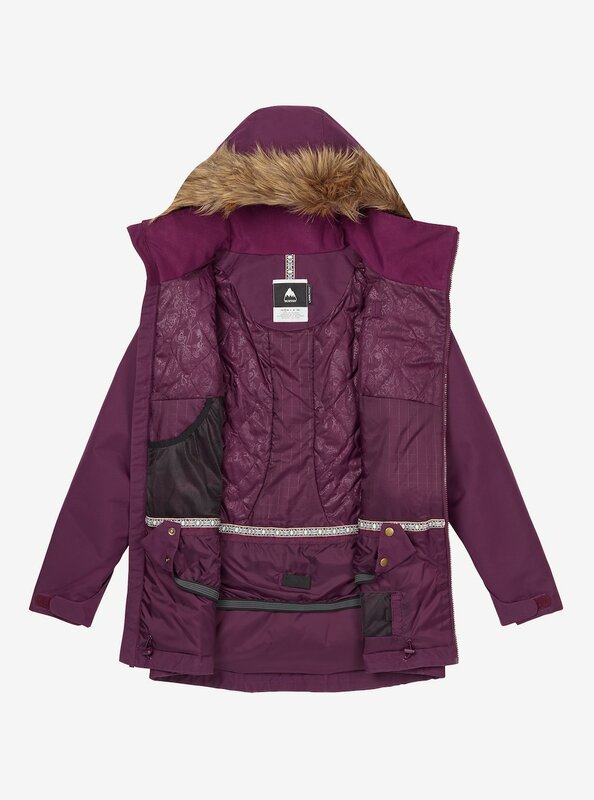 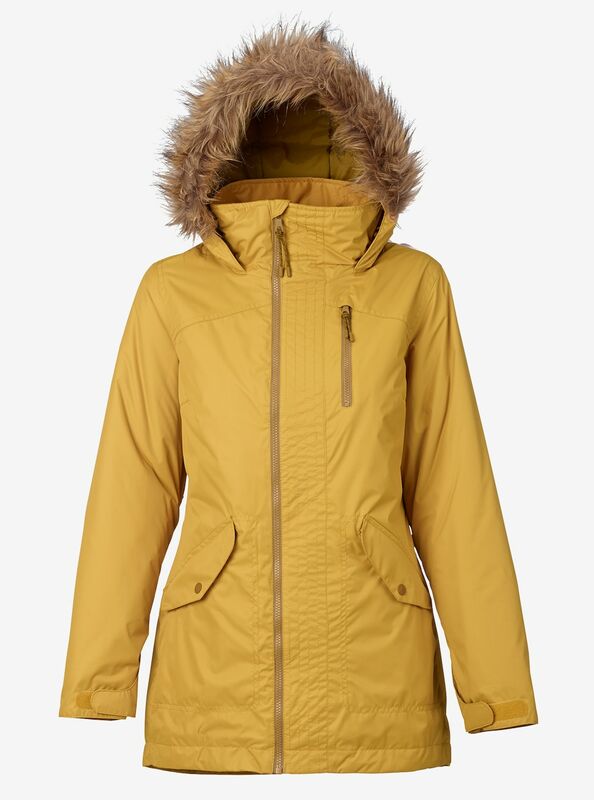 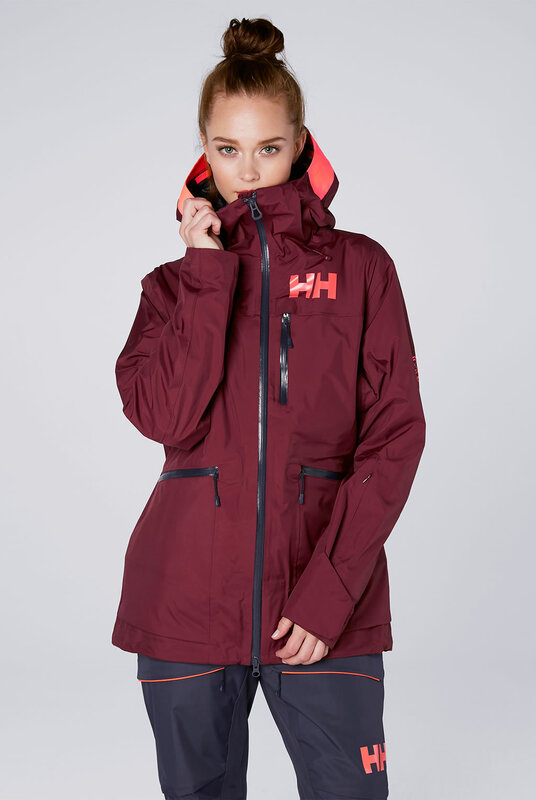 Constructed using N70p 3L GORE-TEX with soft shell construction, this lightweight ski jacket for women incorporates a series of WaterTight pit zippers for extra ventilation, as well as WaterTight Vislon front zipper that blocks snow. 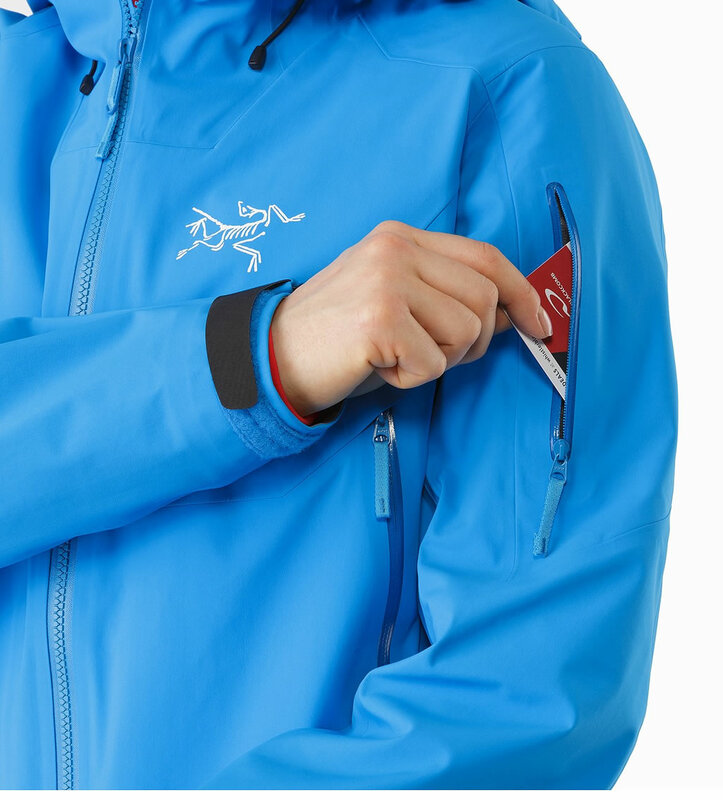 We should also mention that this product also packs an external pocket, which allows easy access to various goods, an internal laminated pocket for smartphone or wallet, an internal mesh dump pockets for gloves, hat or goggles, and large cuffs. 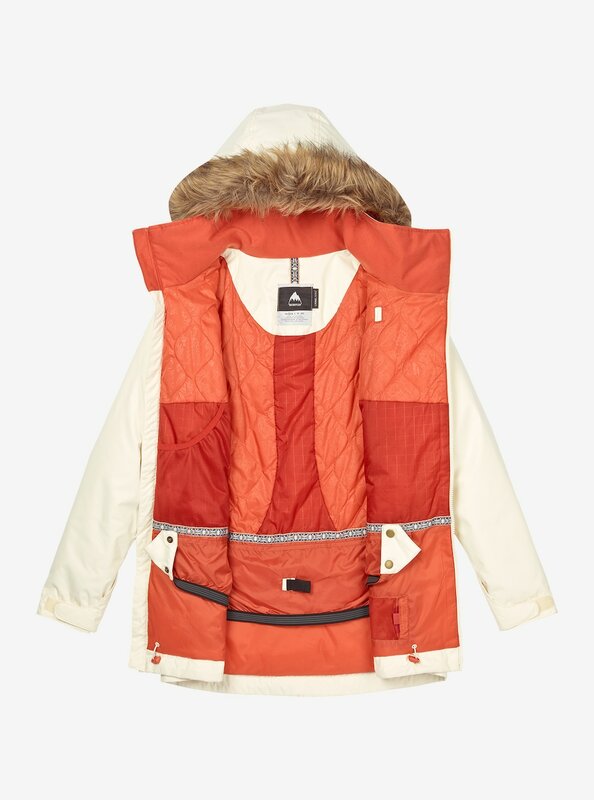 Let’s not forget the various colorways! 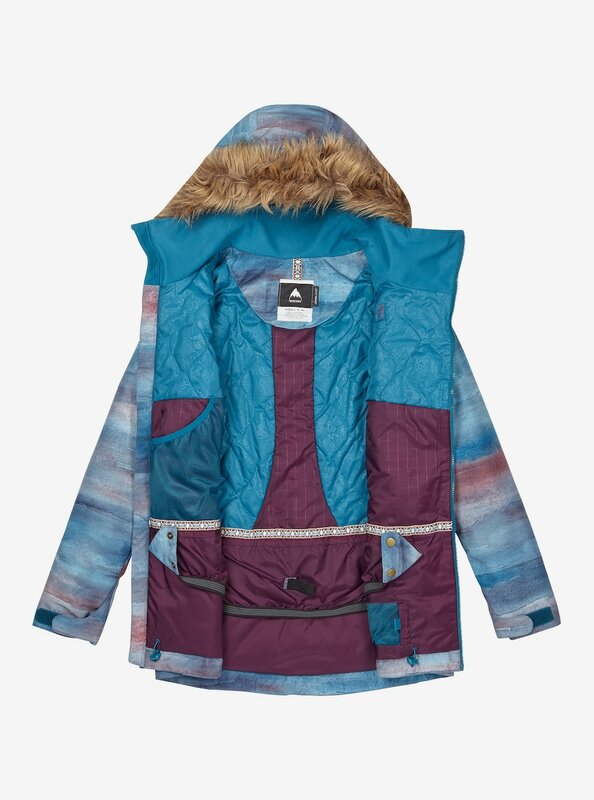 These include Aspen Glow, Baja, Black Sapphire, Dahlia and Smoke. 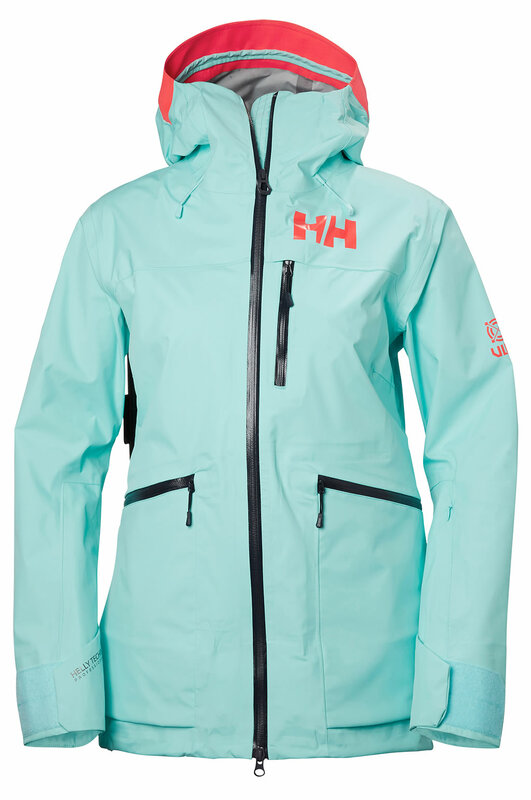 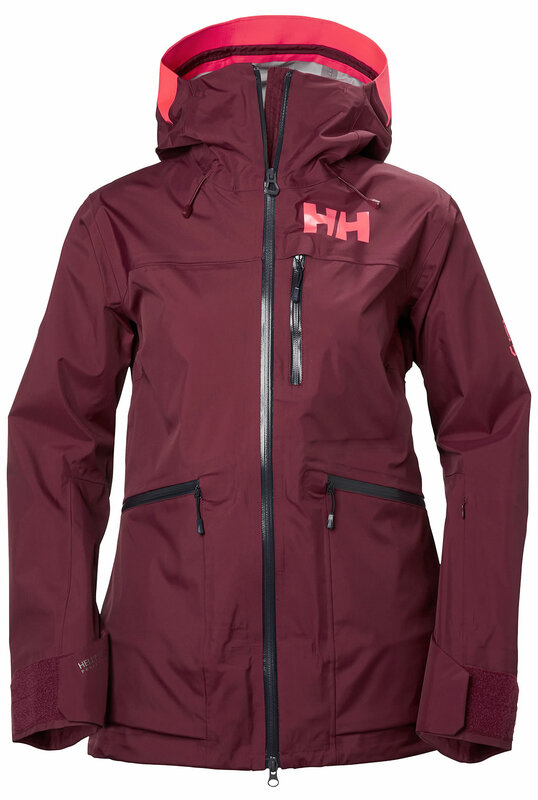 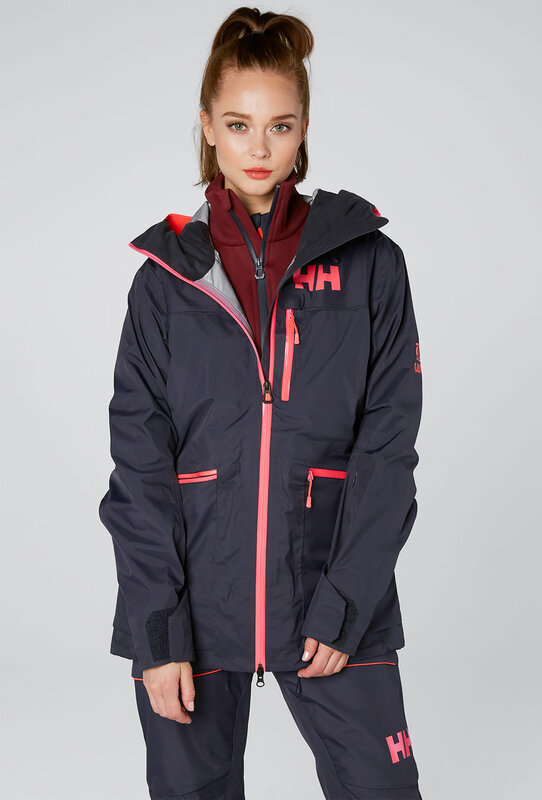 With a simple, modern, feminine cut, this Helly Hansen ski jacket for women can be worn both in cold and warm days thanks to its powder skirt, which can be zipped off for more air circulation. 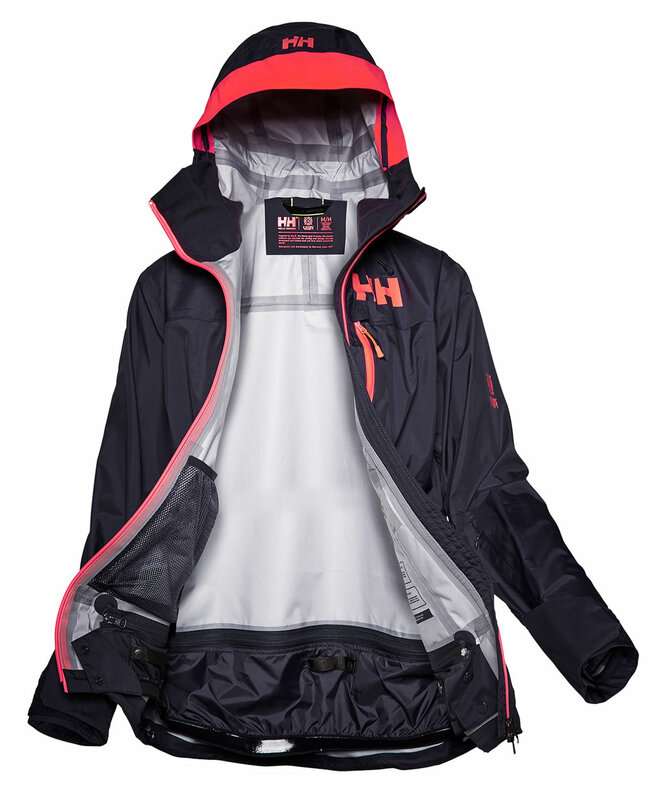 It was created using a waterproof, windproof and breathable Helly Tech Professional 3L fabric with a Durable Water Repellency treatment, as well as ventilation zippers under the arms in order to improve overall comfort. 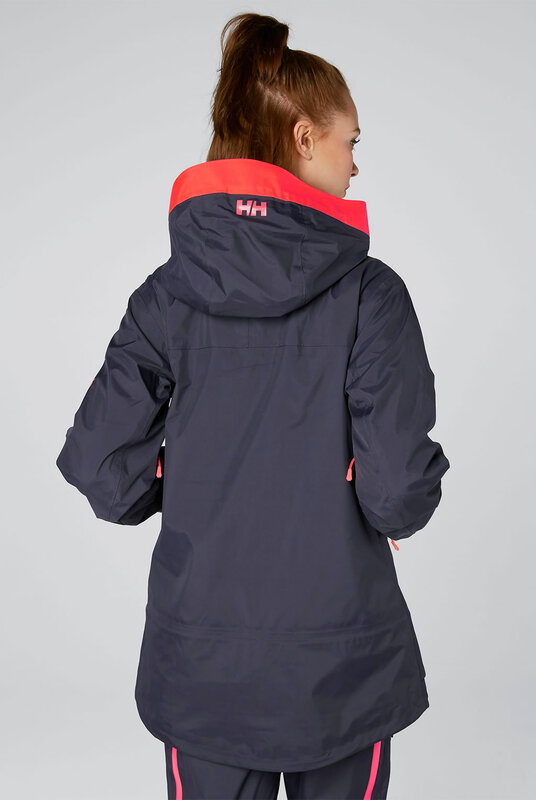 Hi viz details and brim were added for extra visibility in low-light conditions, while the 81cm length offers a plus of coverage at the rear. 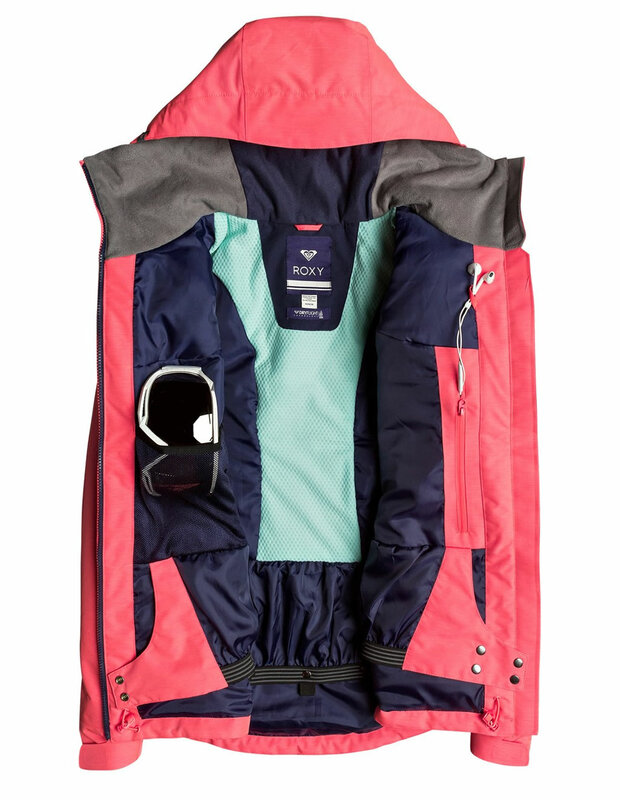 Furthermore, this women’s ski jacket with thumb holes is fully seam-sealed, and it comes with an adjustable hood, ski-pass pocket, pockets for goggles and electronics, and RECCO Advanced Rescue system. 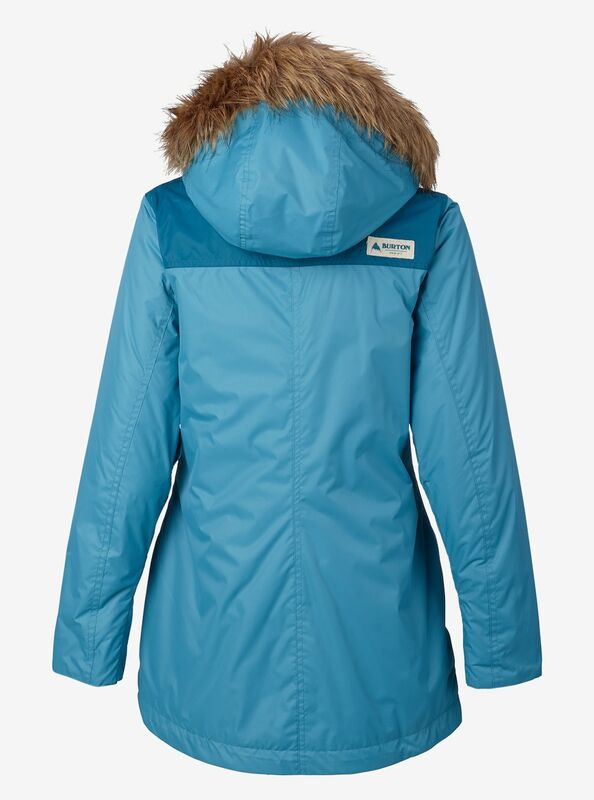 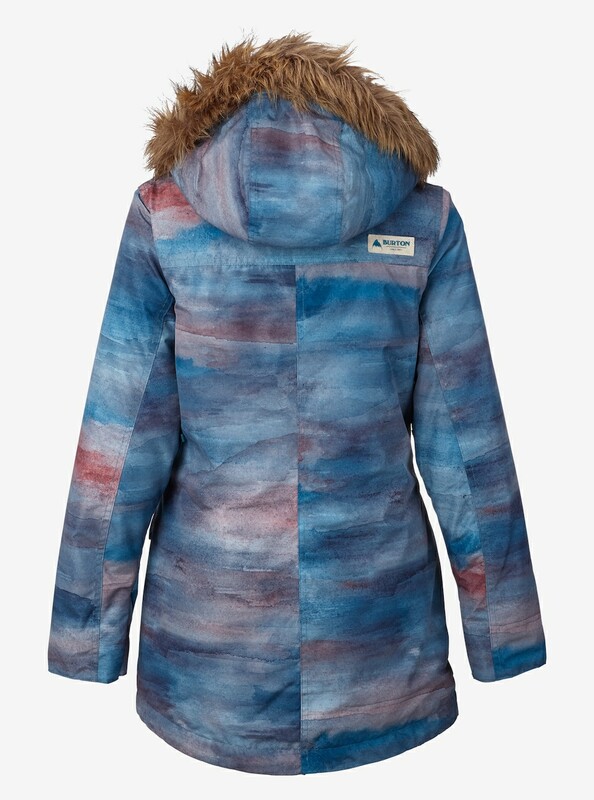 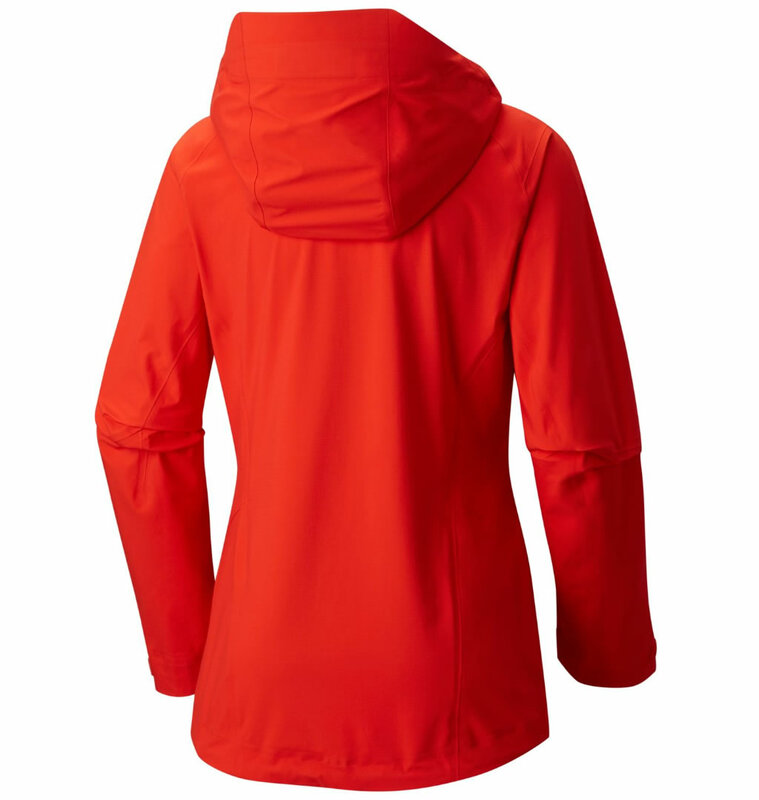 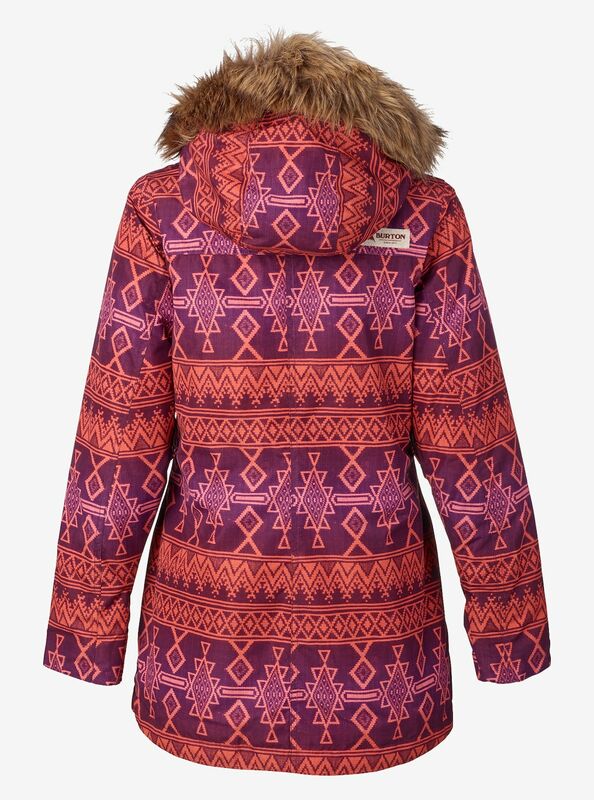 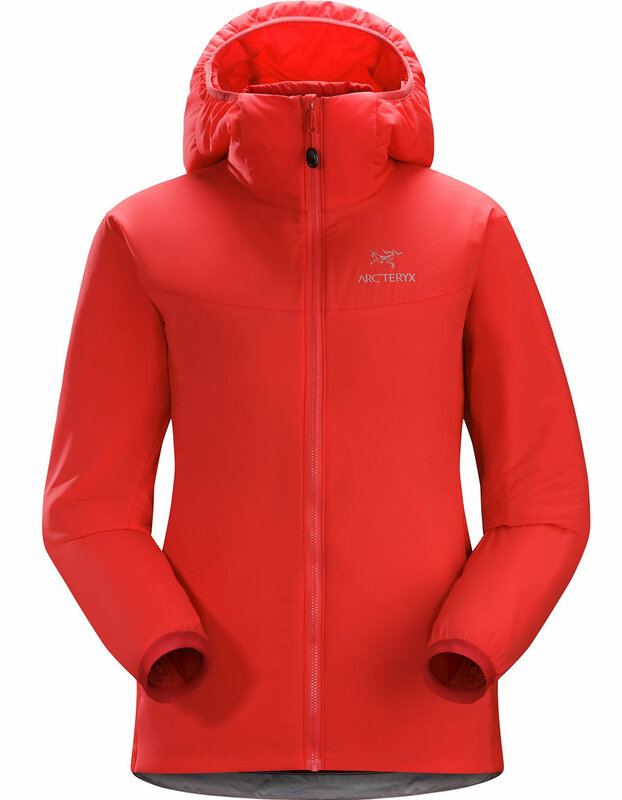 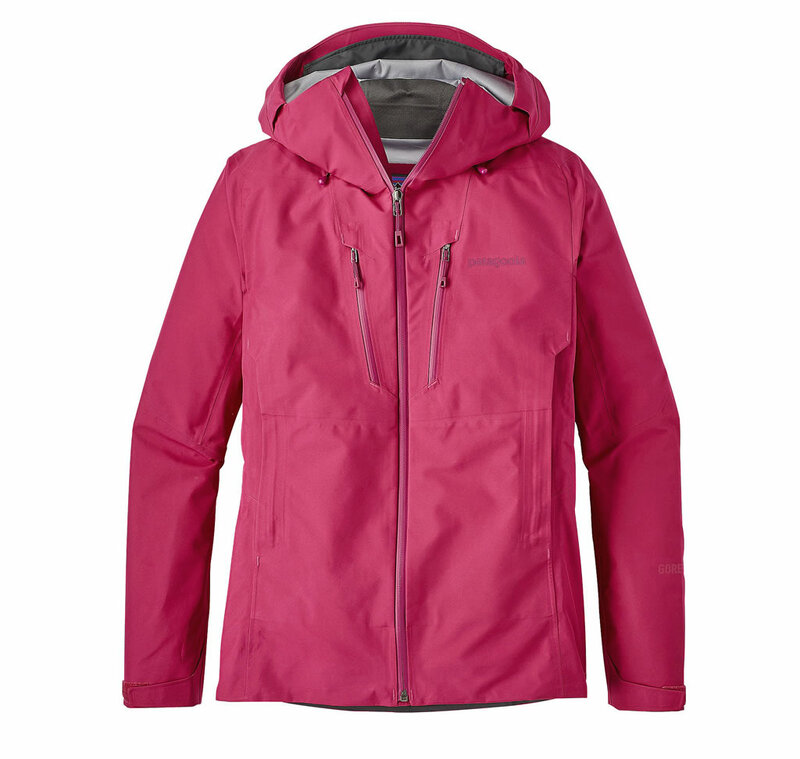 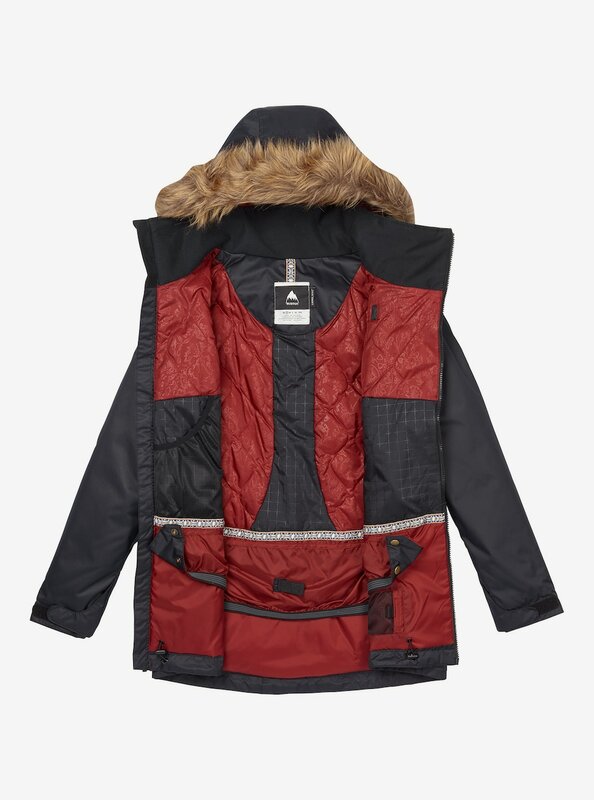 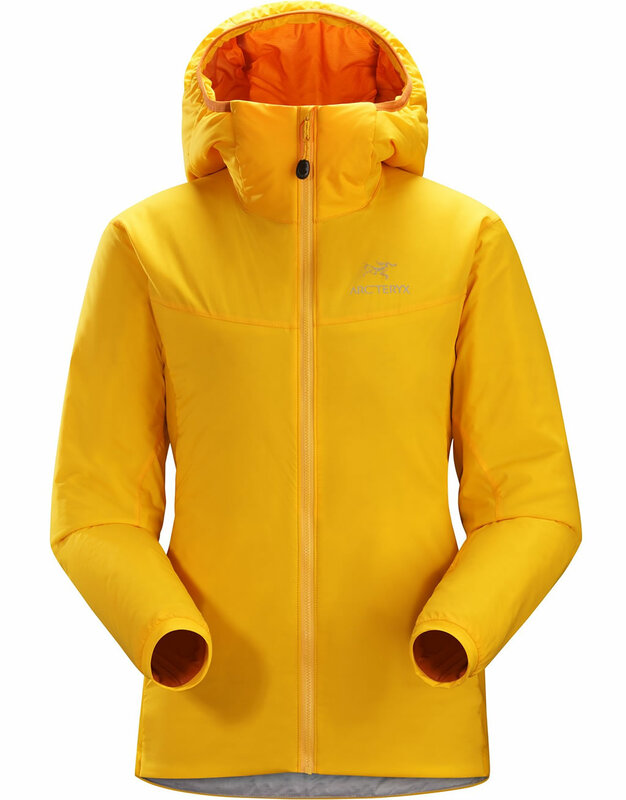 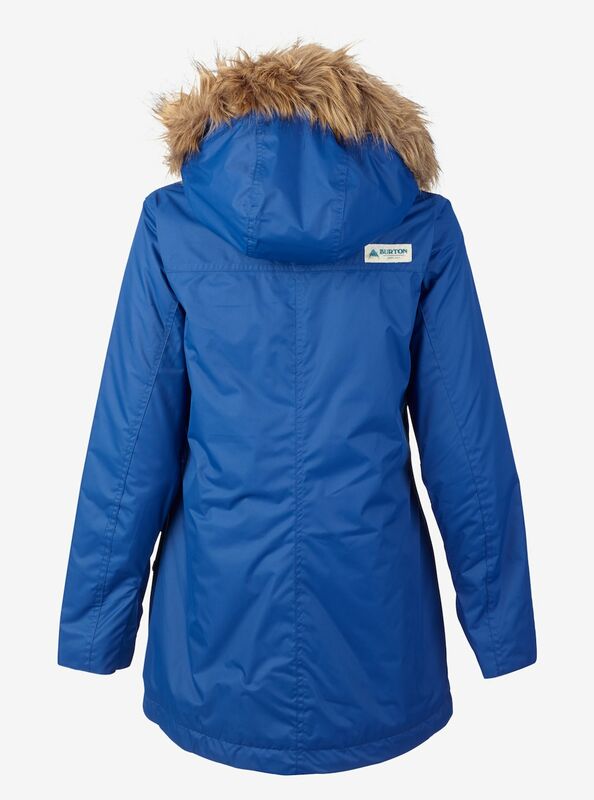 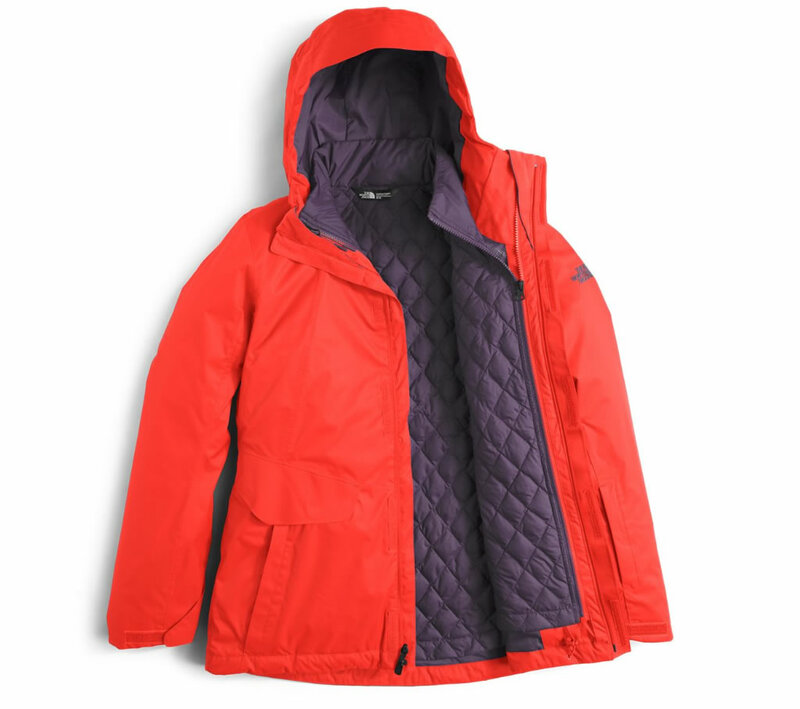 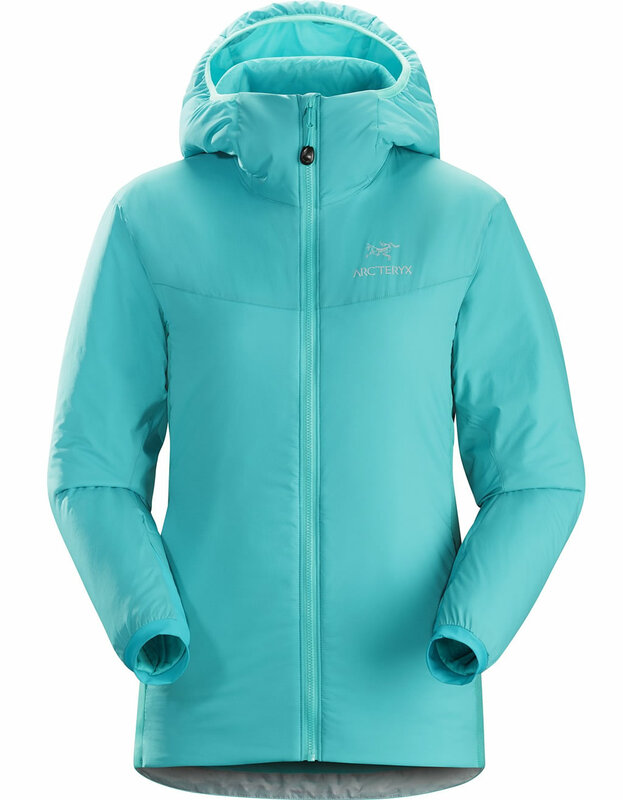 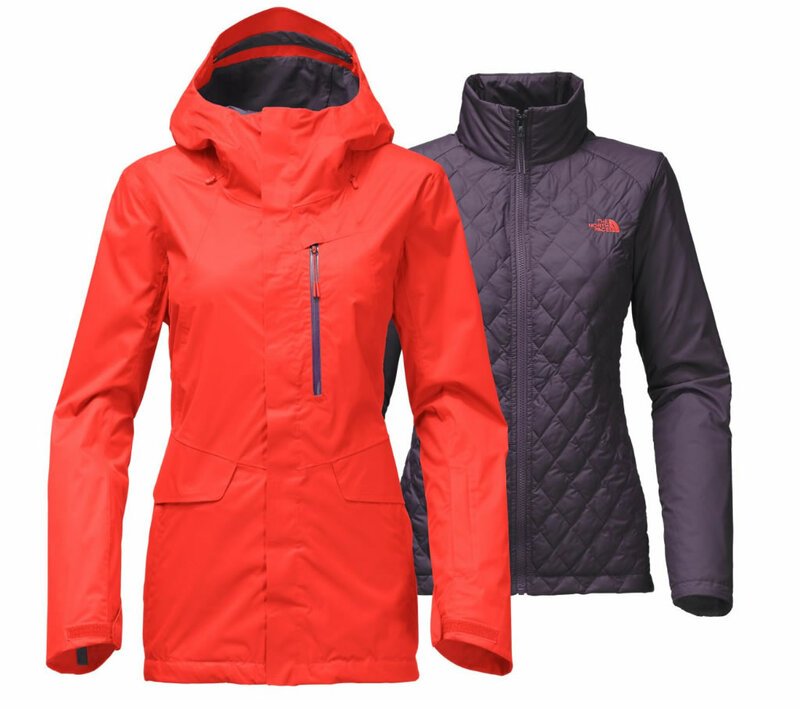 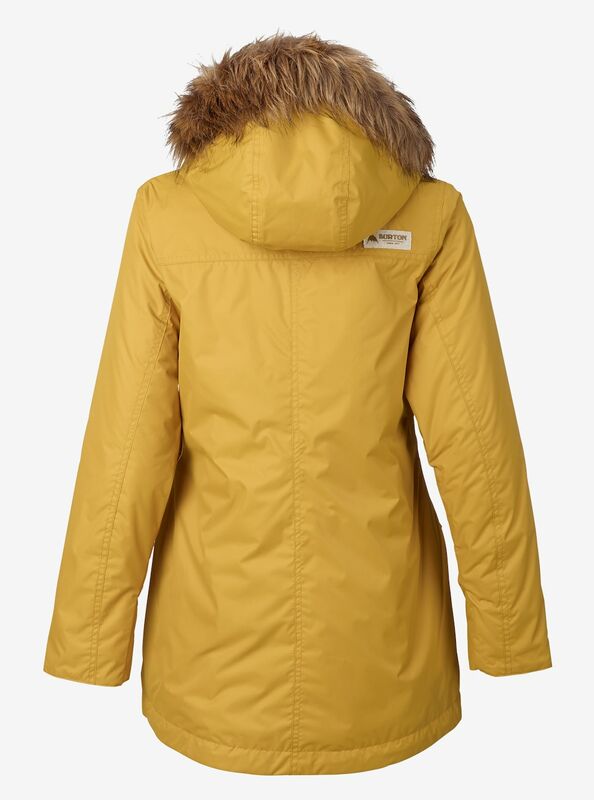 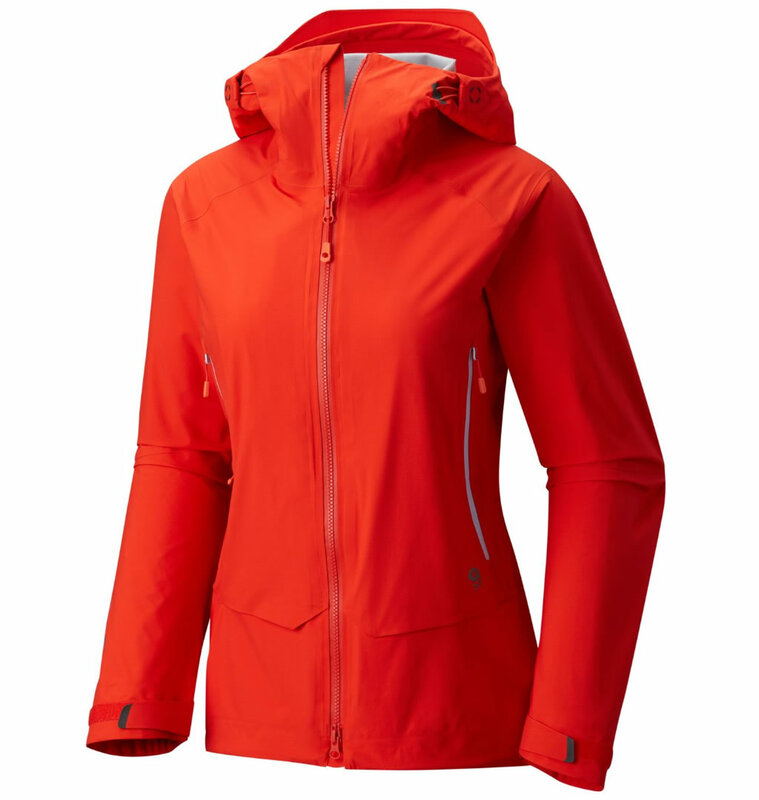 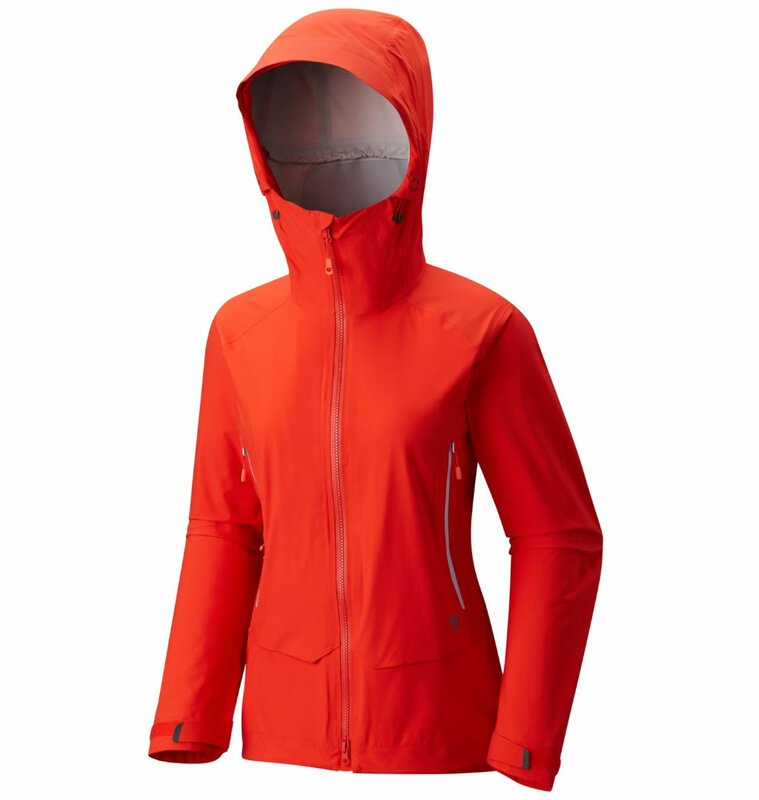 Available in Atmosfear, Blue Spruce and Fiery Red, the women’s Superforma Jacket by Mountain Hardwear is ideal for snowboarding, skiing or any other outdoor activity due to its versatility, premium warmth, waterproofing and windproofing that it offers. 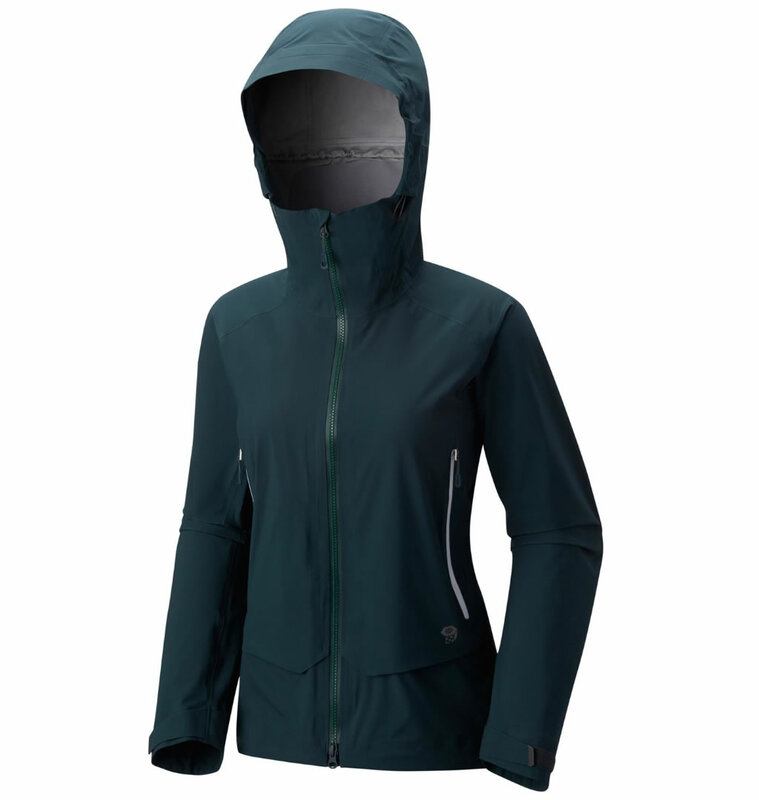 This product boasts an adjustable helmet compatible hood with Cohæsive embedded cord locks, a water-resistant AquaGuard VISLON front zipper, and two interior pockets that can be used for conventional storage. 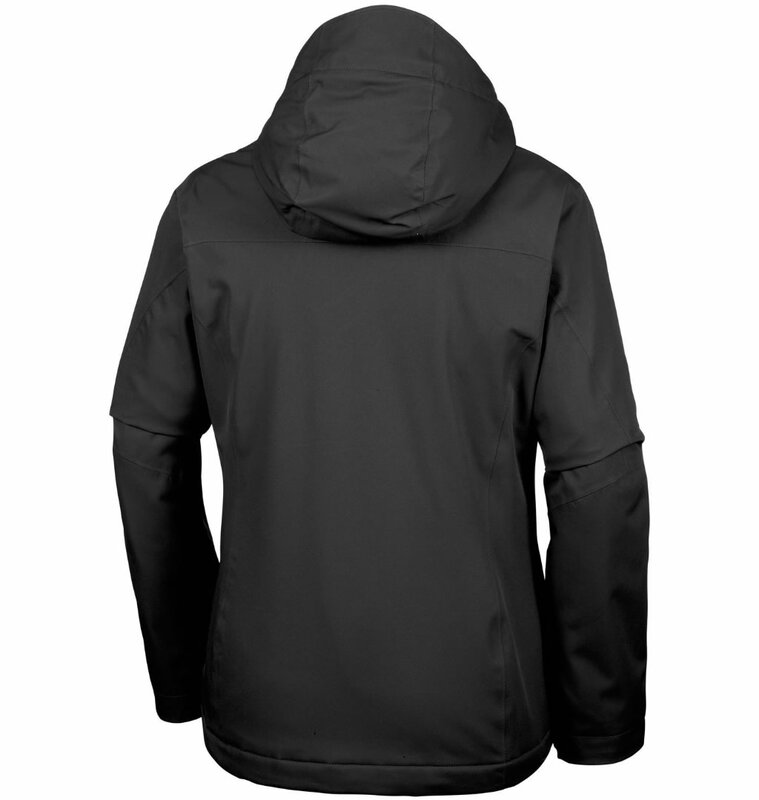 It also offers a lightweight design that provides breathability, as well as a 28 in or 71 cm length. 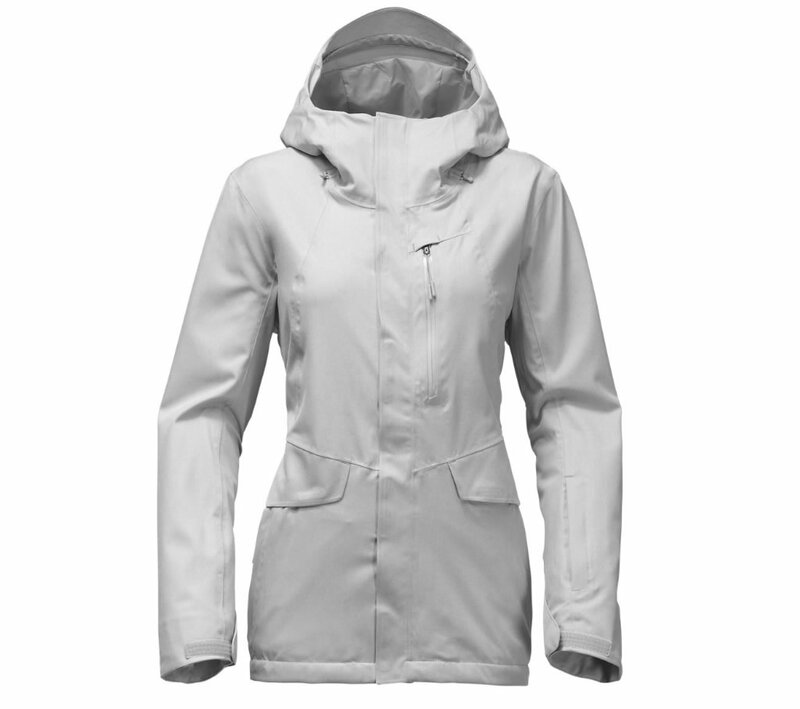 What we have here is a perfect women’s Gore Tex skiing jacket that was designed to accompany you on the mountain, giving you comfort and mobility from the top to the base of the ski slope. 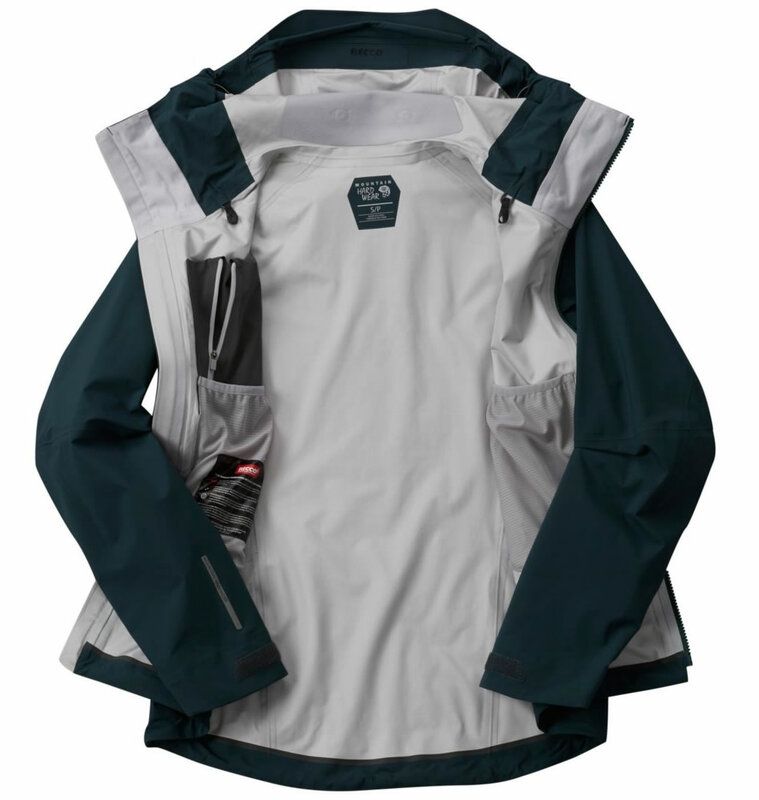 It features a lightweight, waterproof and breathable fabric, as well as watertight 2-way pit zips in gusseted underarm panels. 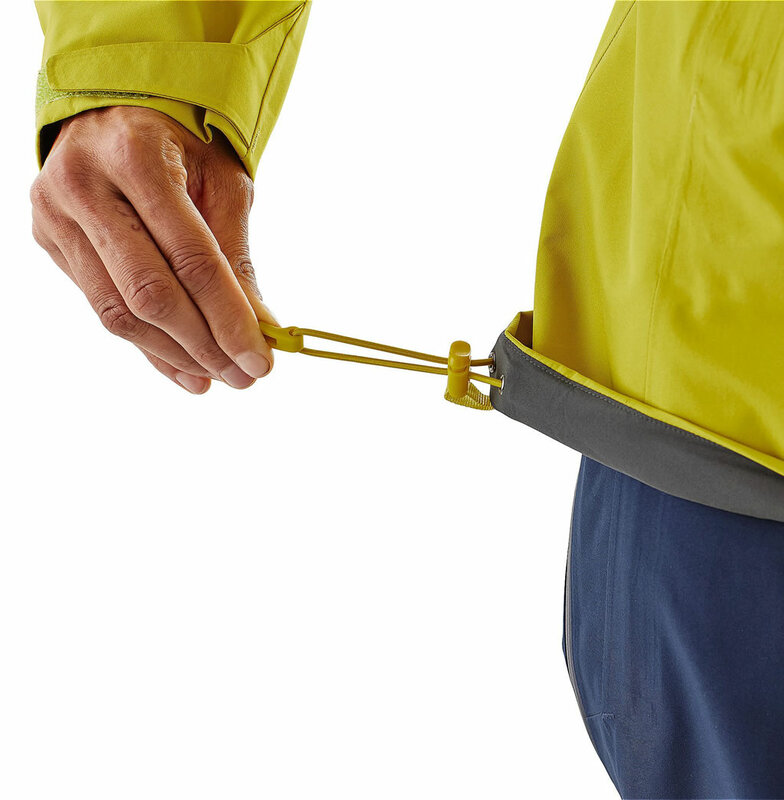 These underarms panels offer a tight fit and doesn’t allow jacket to raise. 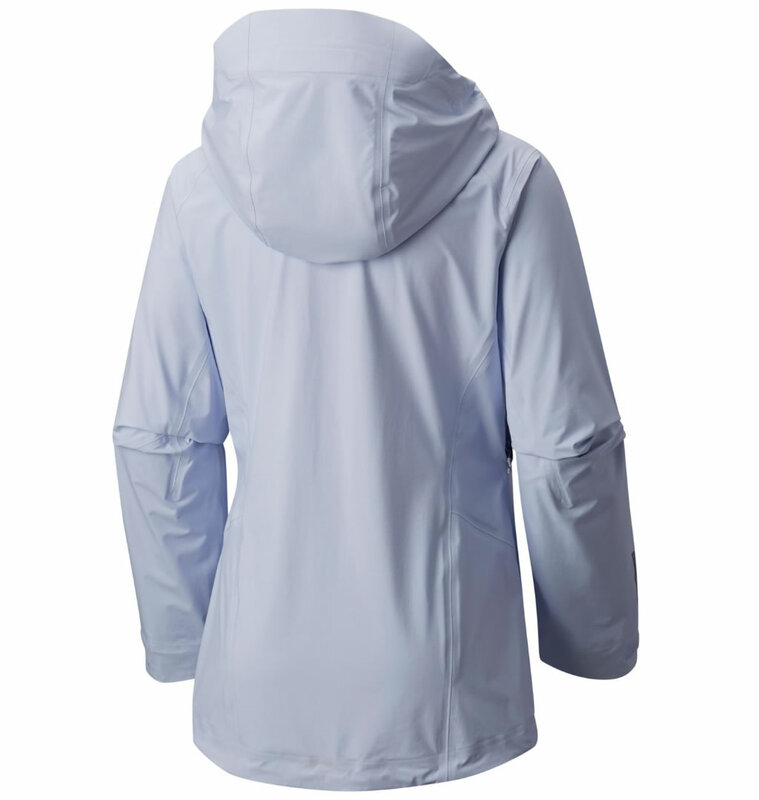 The main fabric was created using 100% polyester GORE-TEX with a Durable Water Repellent finish, which ensures utmost protection from heavy snow, wind and rain. 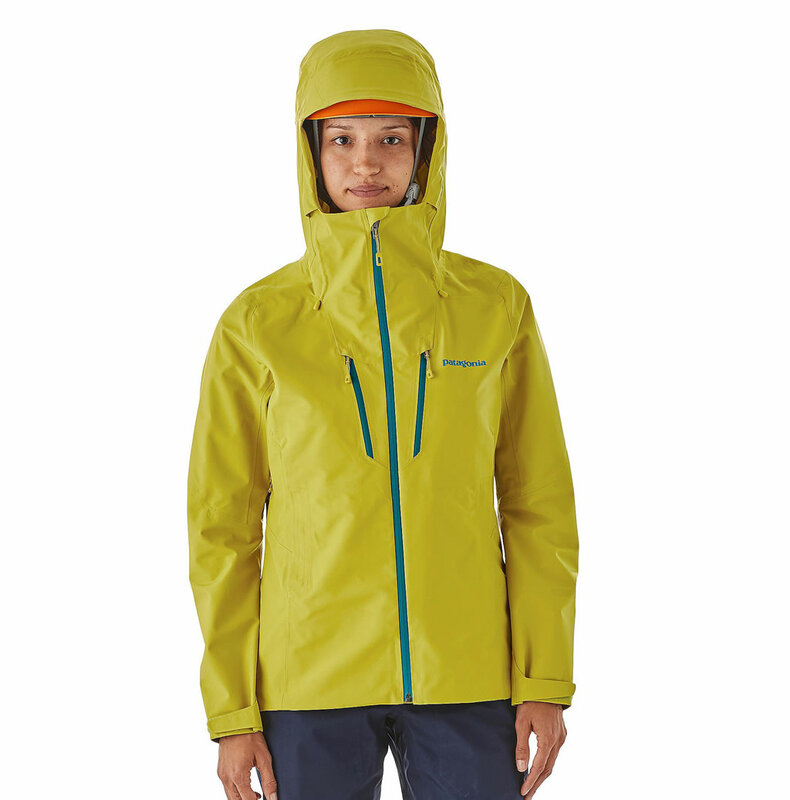 Its Optimal Visibility Hood is a nice element, especially the laminated visor that ensures visibility in low light conditions. 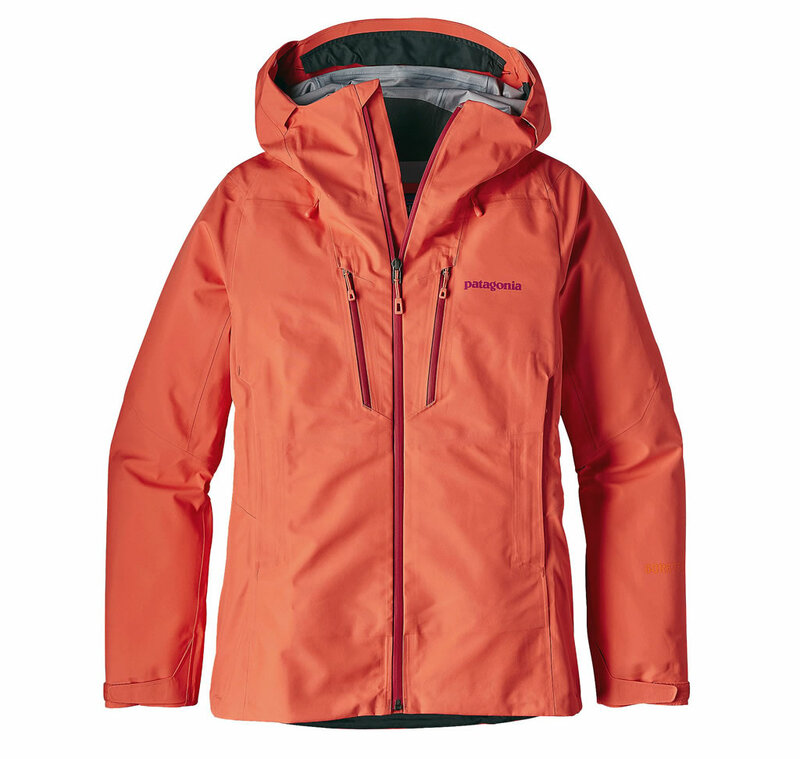 There is also a dual-adjust drawcord hem, two waterproof zip pockets, low-profile cuffs, and an elasticized strap at the back that binds to any Patagonia Snow pants. 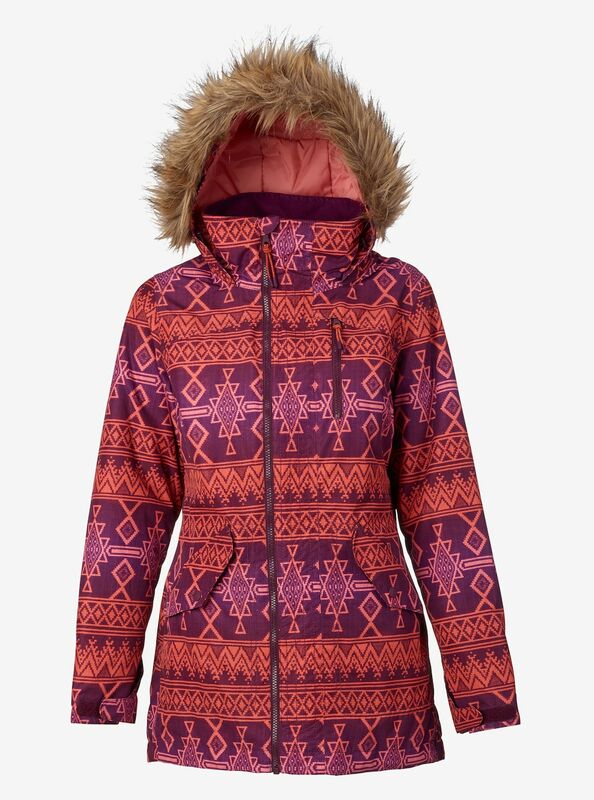 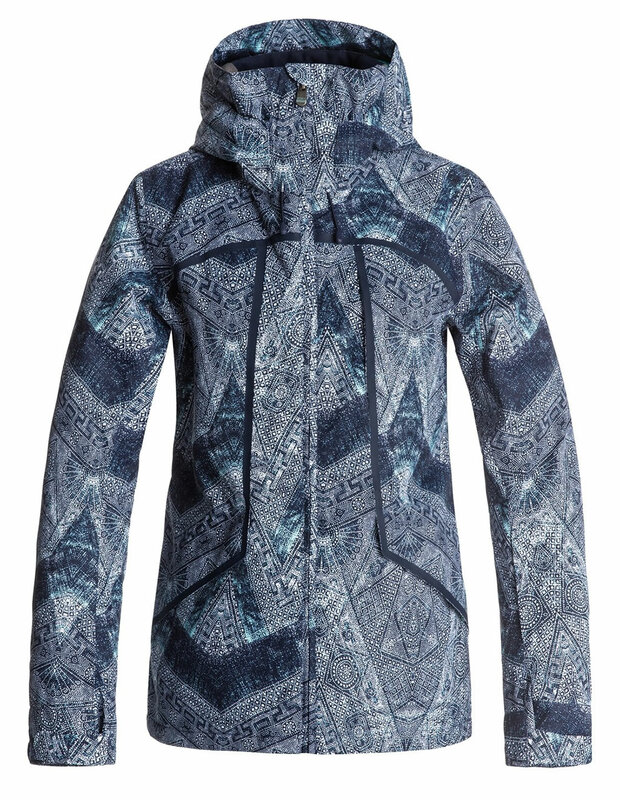 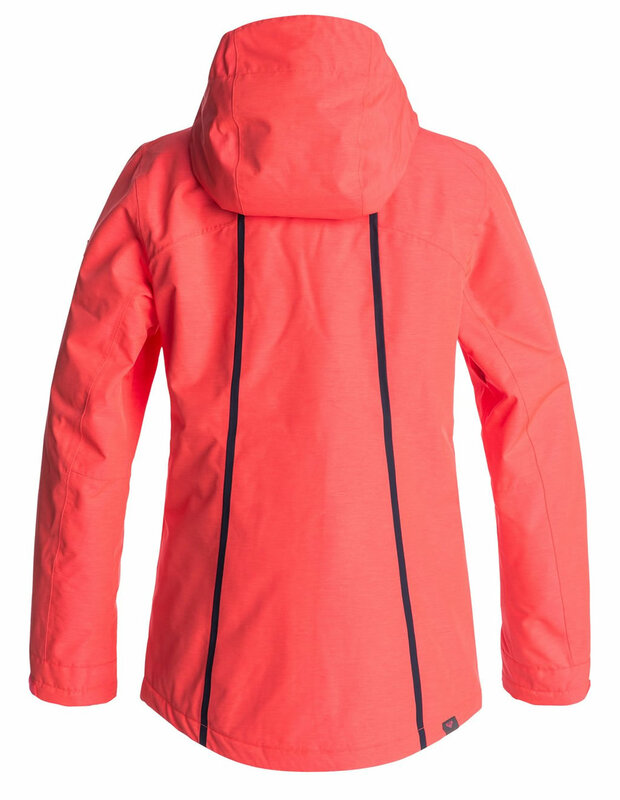 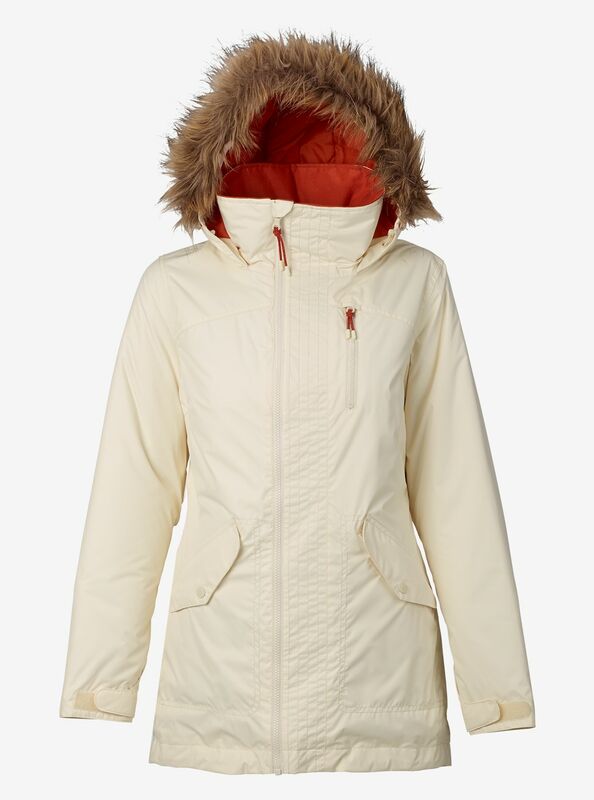 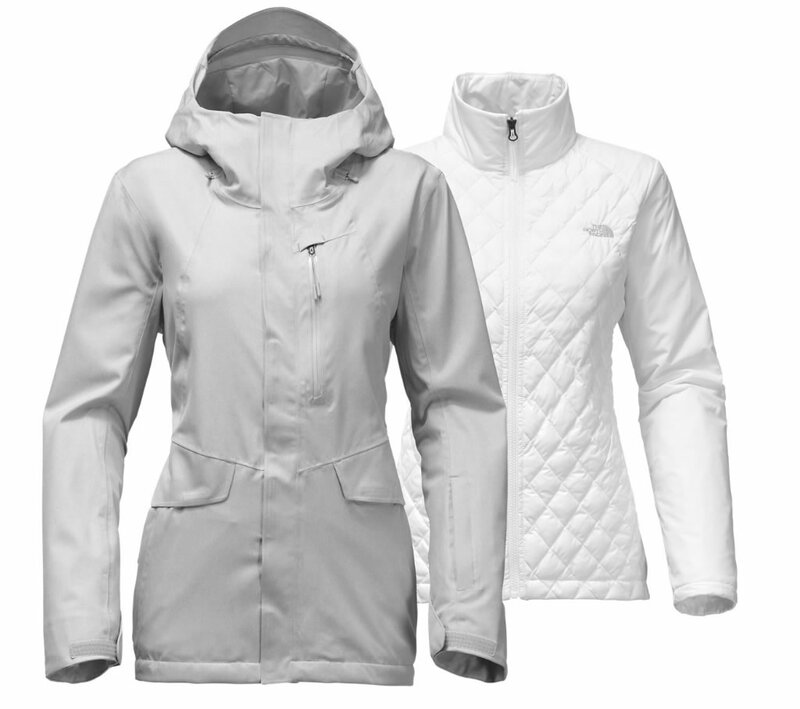 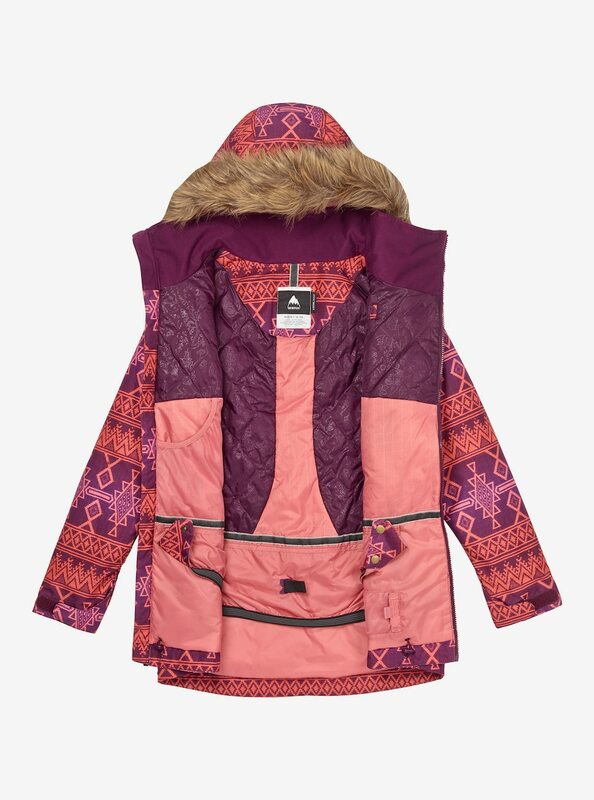 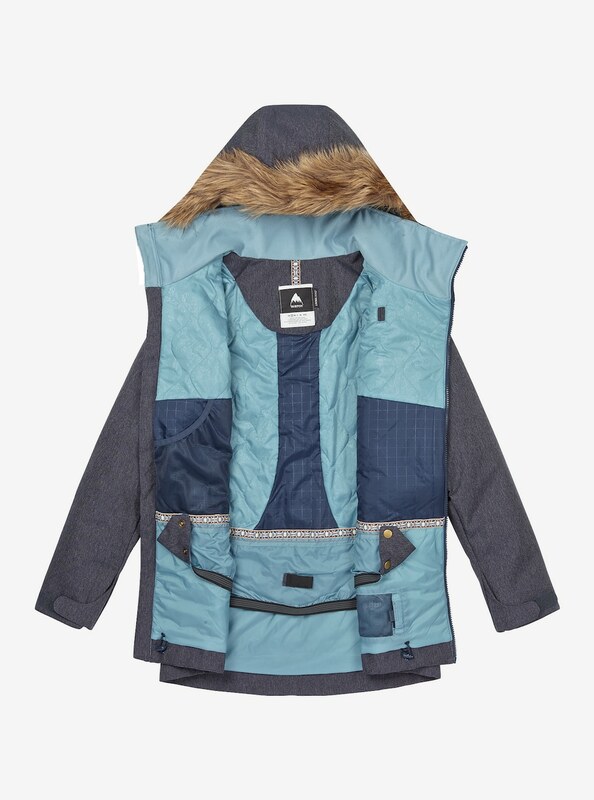 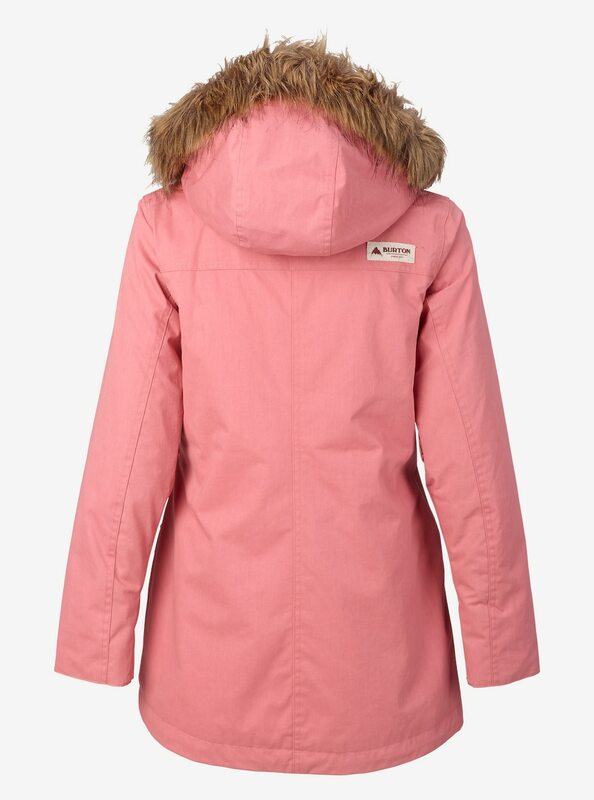 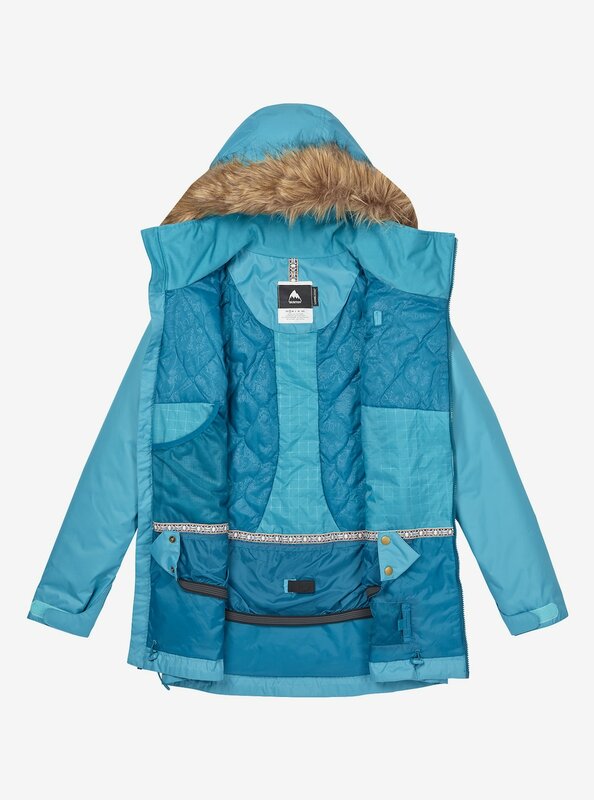 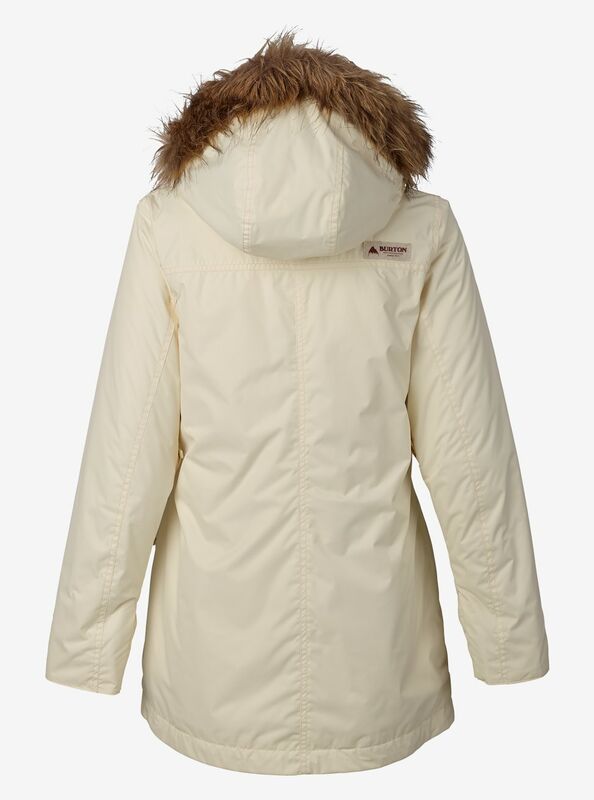 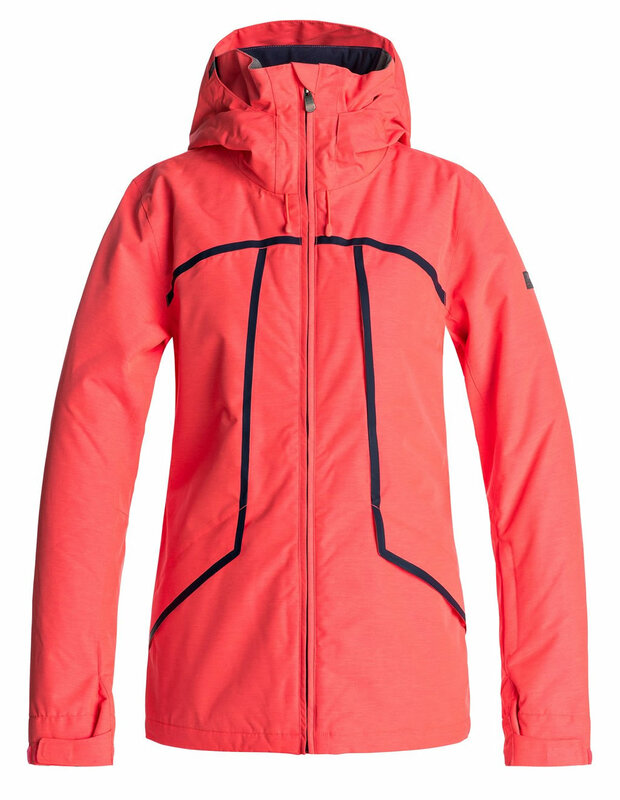 Roxy has some of the most stylish ski jackets for women on the market, and the one that you’re looking at right now comes in Mandarin Orange Pop Snow Cryst, Neon Grapefruit and Peacoat Avoya. 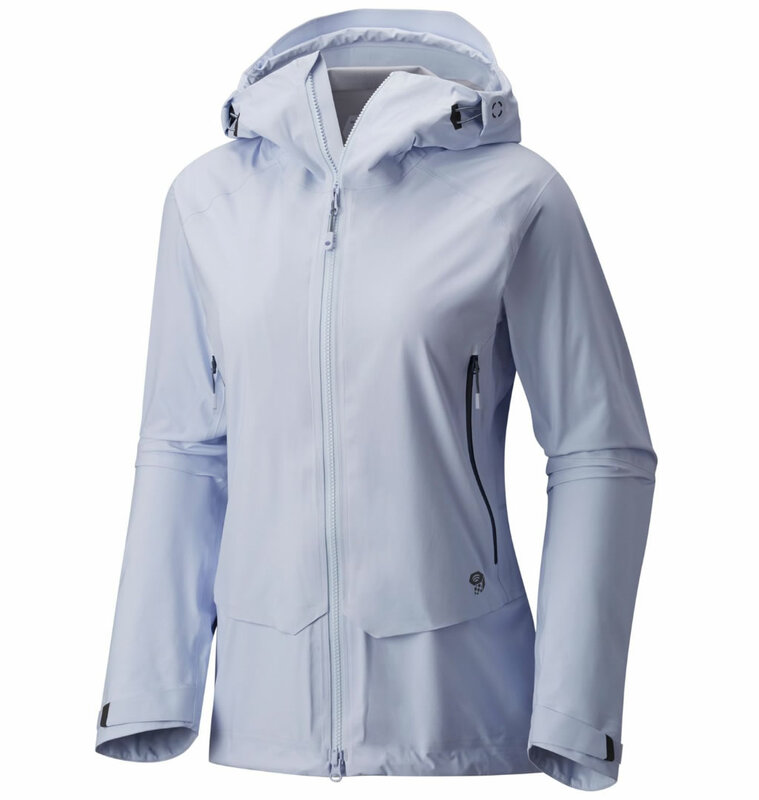 It offers 15K waterproofing fabric, as well as mesh lined underarm vents that allow your skin to breathe. 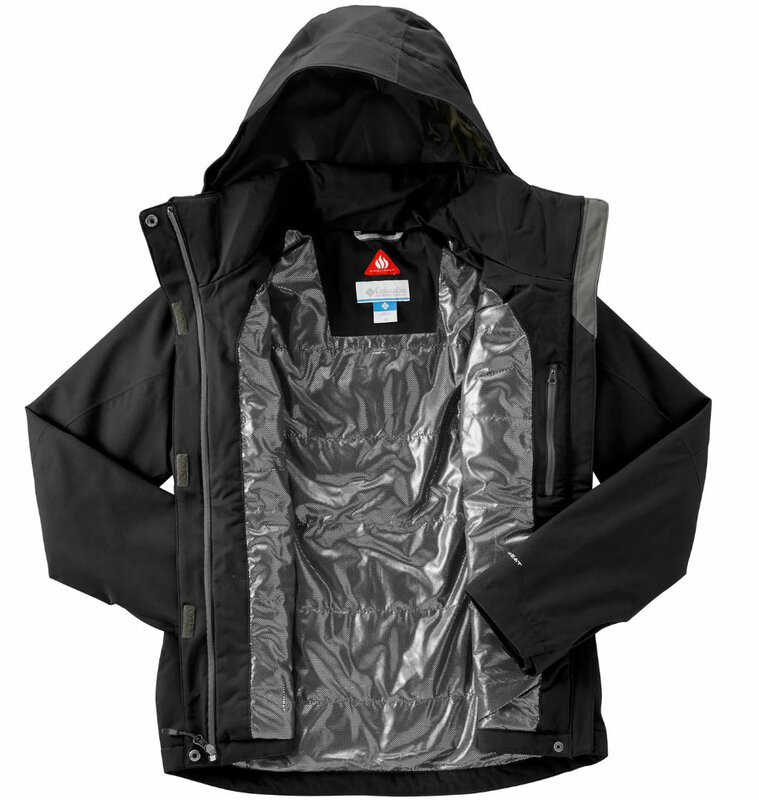 What makes this jacket special is the fact that it features fully taped seams, a tailored fit, and 3M Thinsulate Insulation that ensures moisture transfer while trapping heat in. 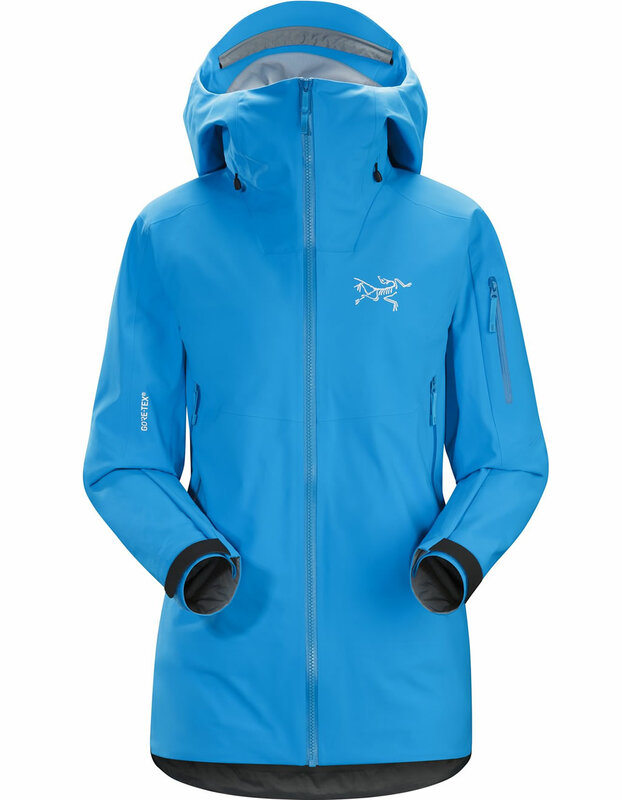 Some of the jacket’s highlights include multiple pockets, a chin guard, adjustable and removable hood and a snap-away powder skirt system. 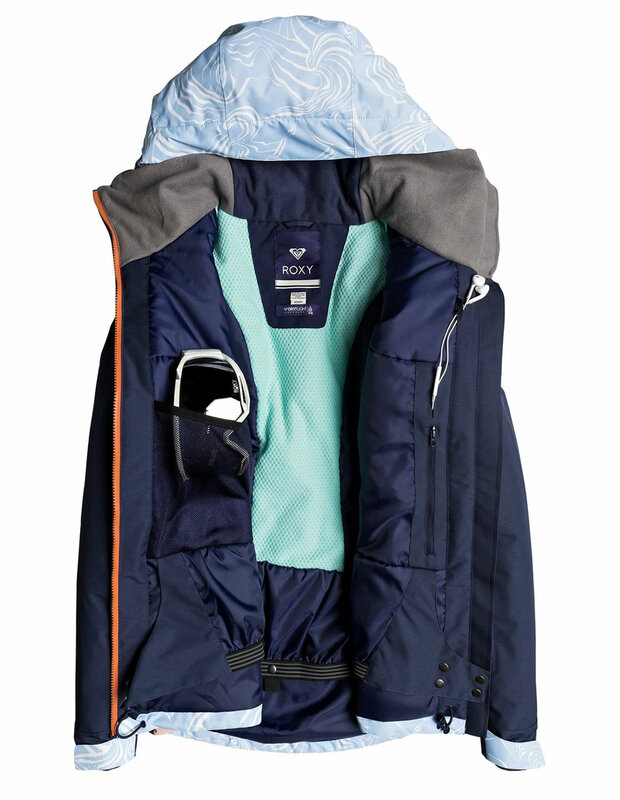 The jacket-to-pant attachment system and Lycra wrist gaiters with thumbhole are also noteworthy, as is the integrated ROXY Enjoy & Care collar with Biotherm skincare. 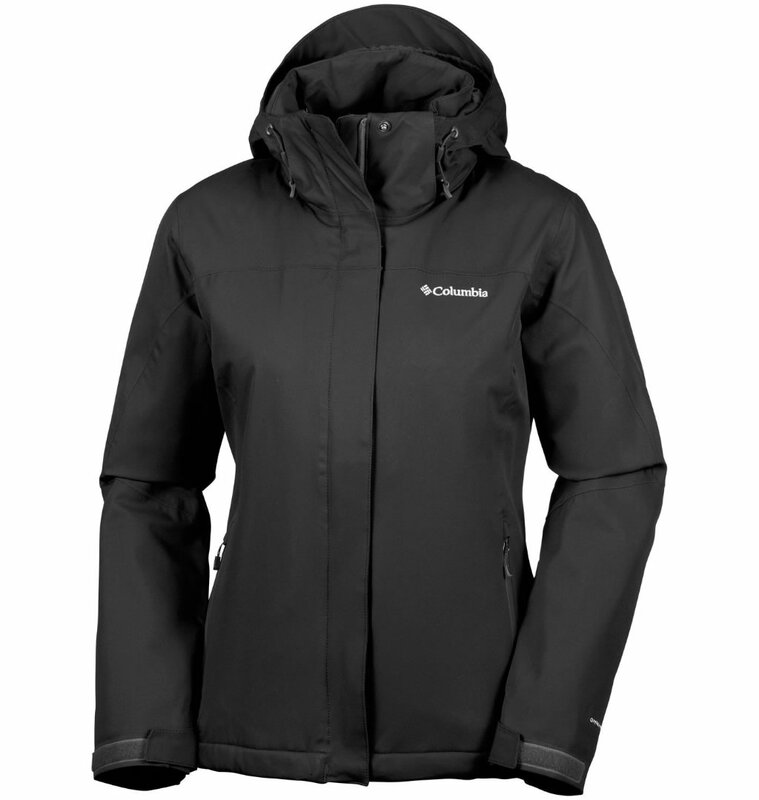 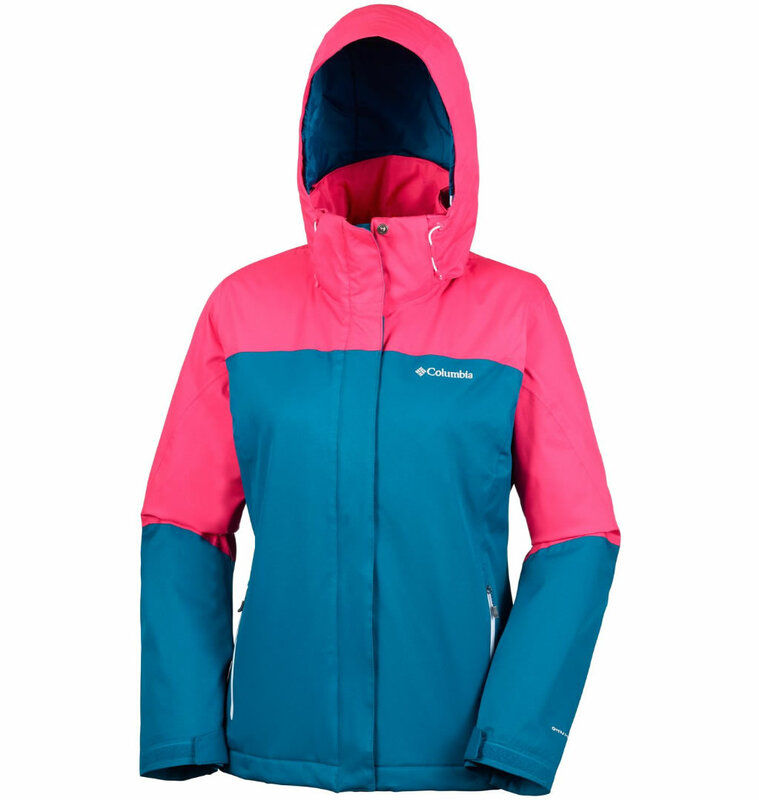 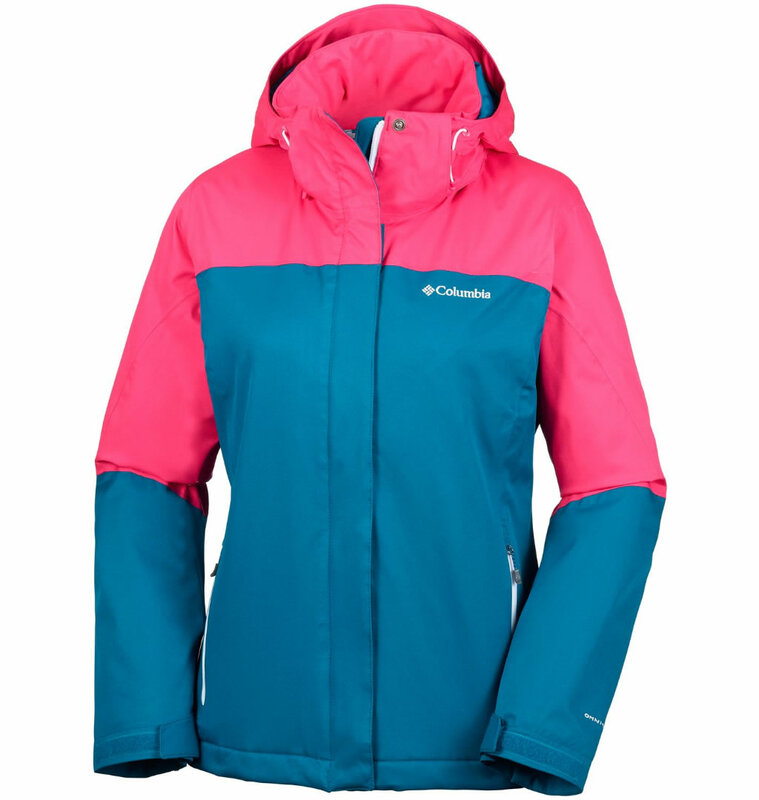 The product offered by Columbia is also among the best ski jackets for women thanks to the warmth, breathability, waterproofness, durability and comfort that it offers. 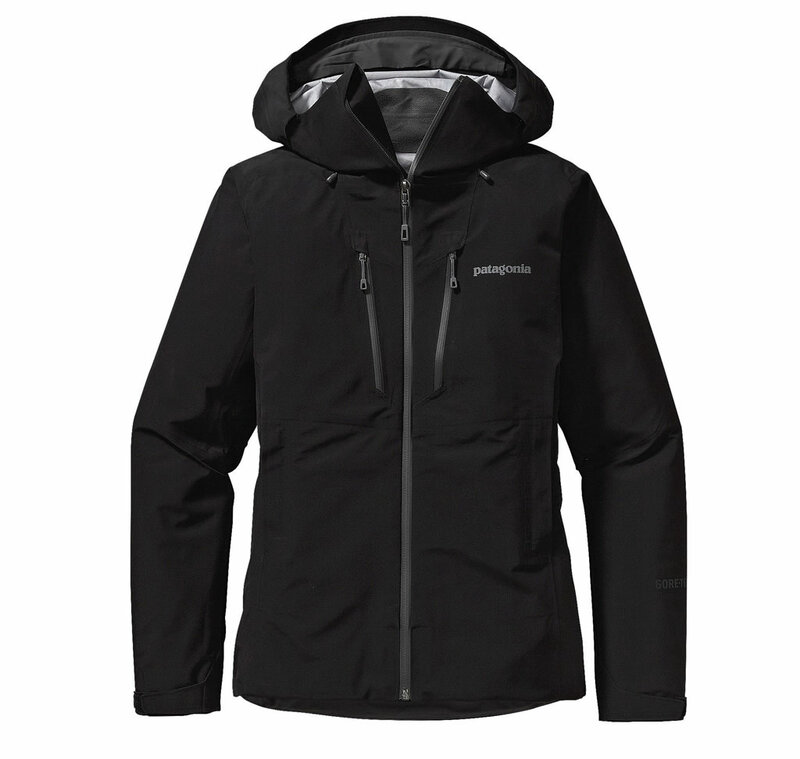 Dubbed Everest Mountain Jacket, it impresses with a Omni-Heat™ fabric, which offers outstanding warmth and water resistance. The jacket’s most important features include a thermal reflective layer that reflect body heat, an adjustable storm hood, an interior security pocket, and adjustable hem and cuffs.